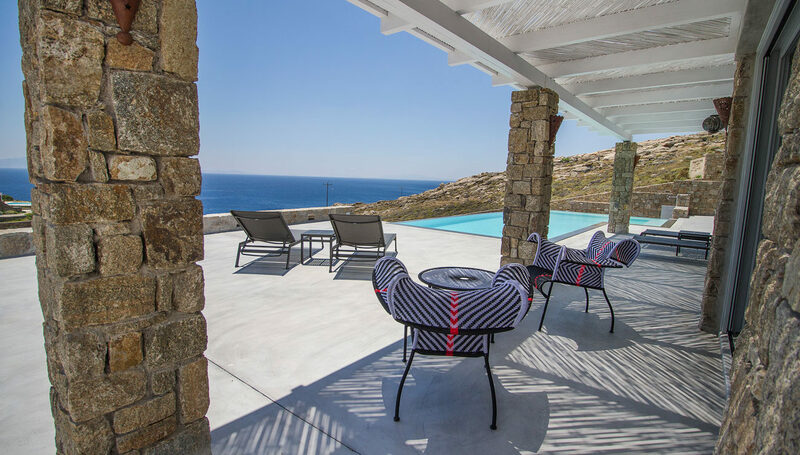 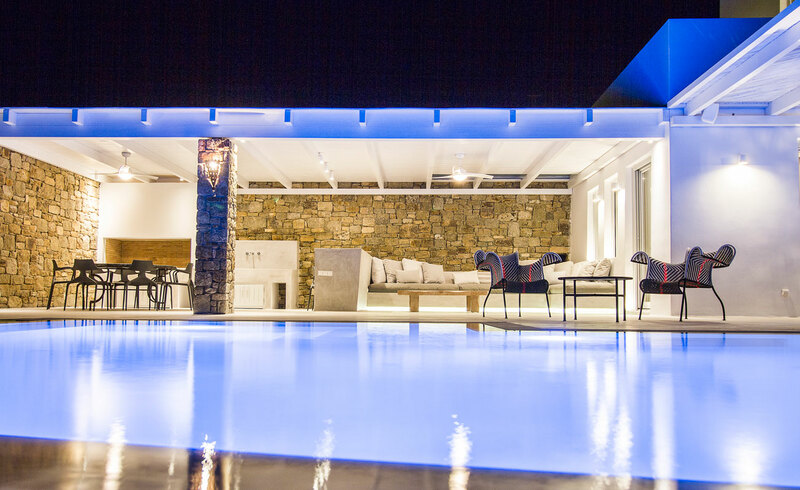 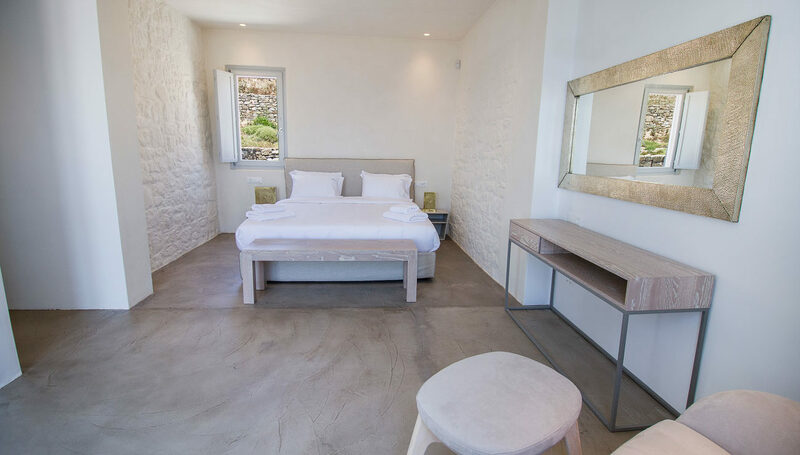 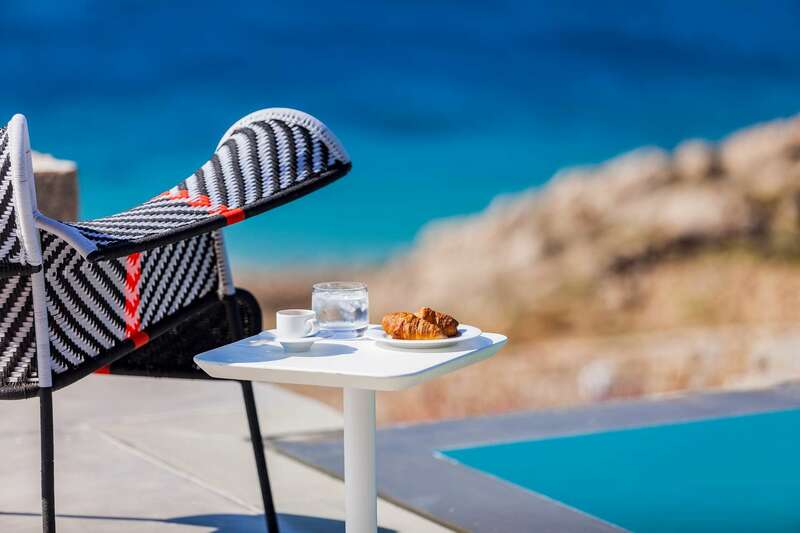 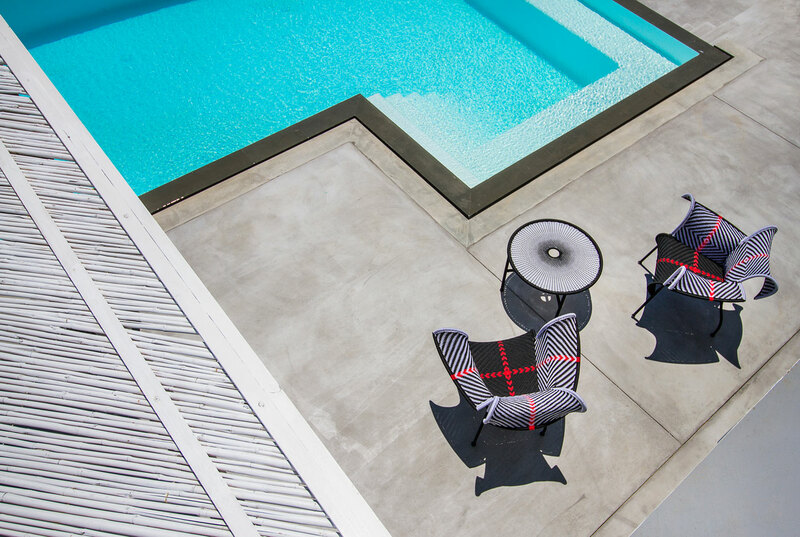 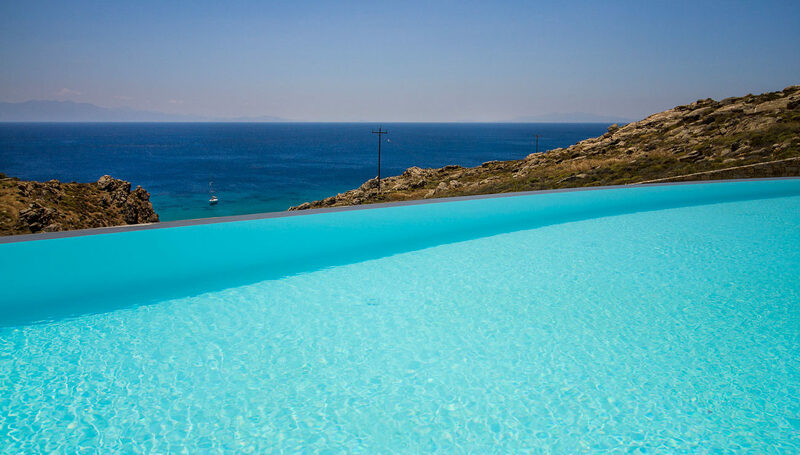 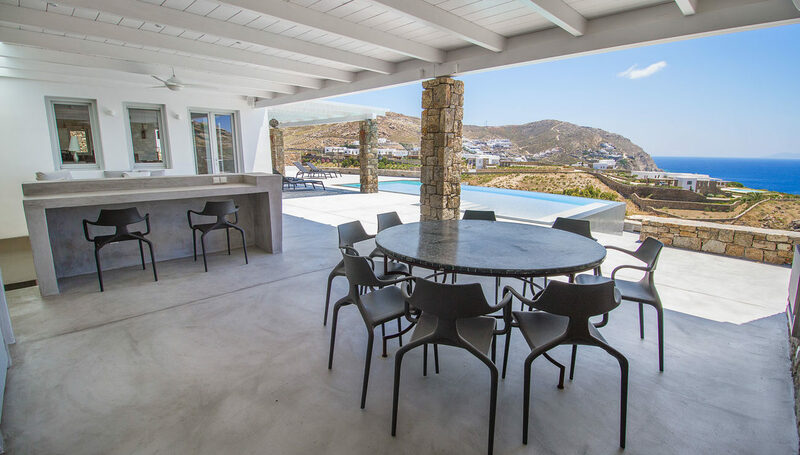 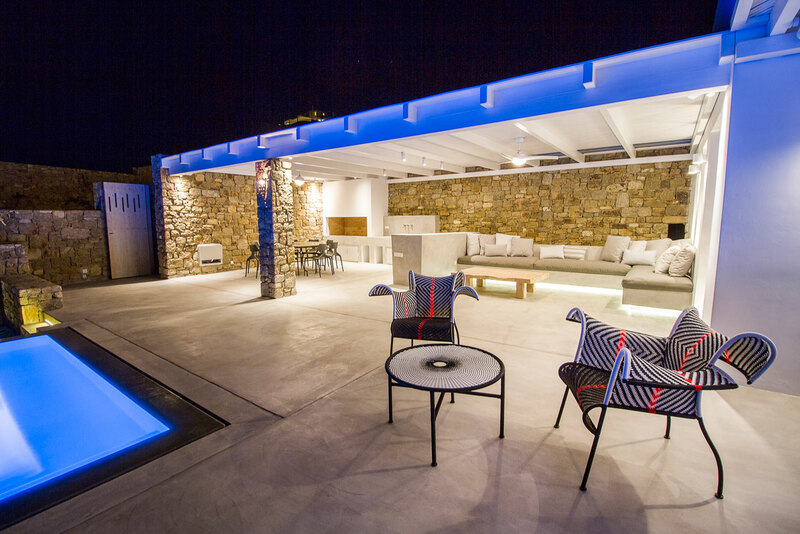 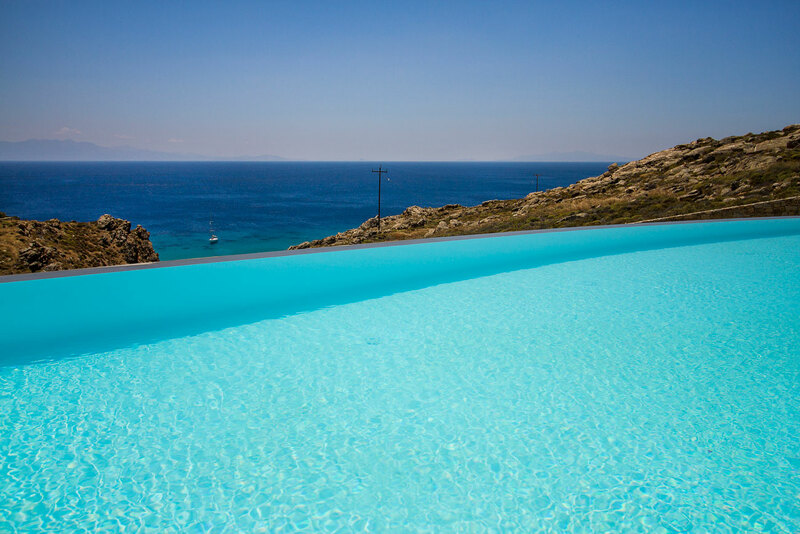 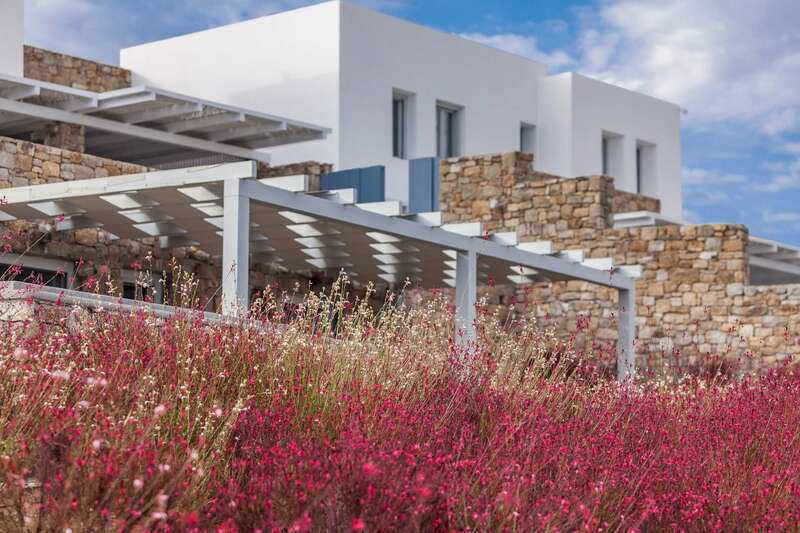 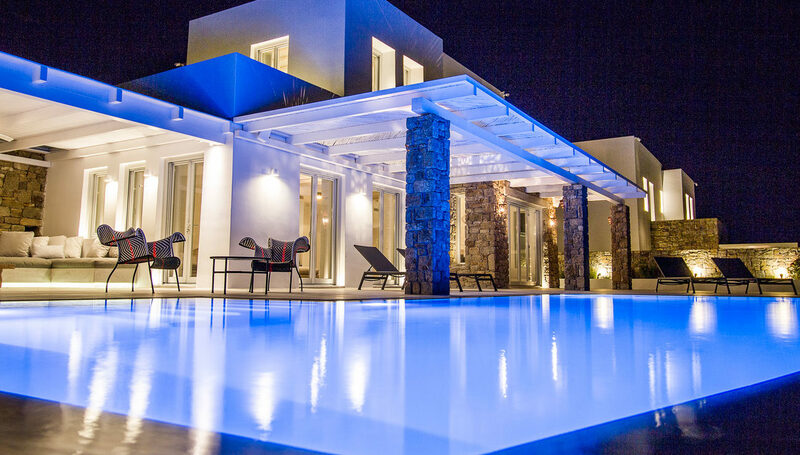 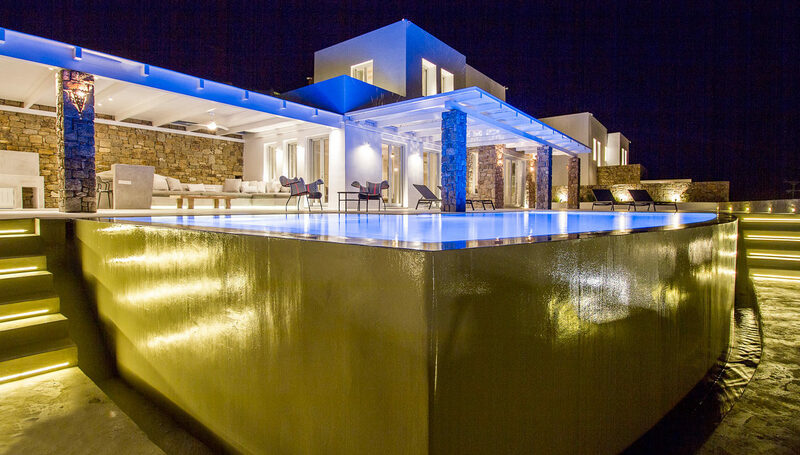 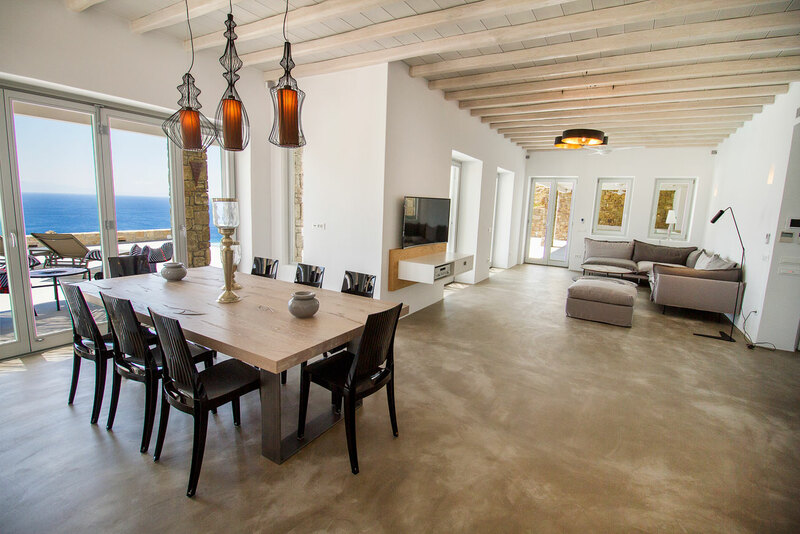 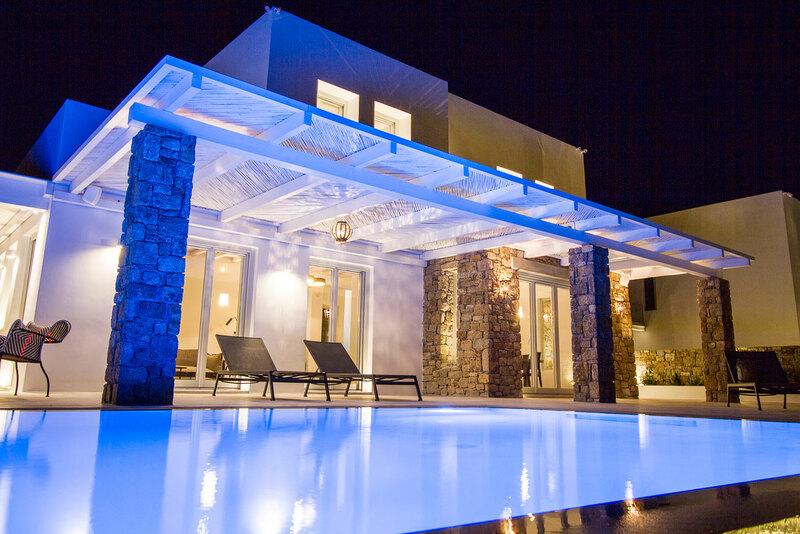 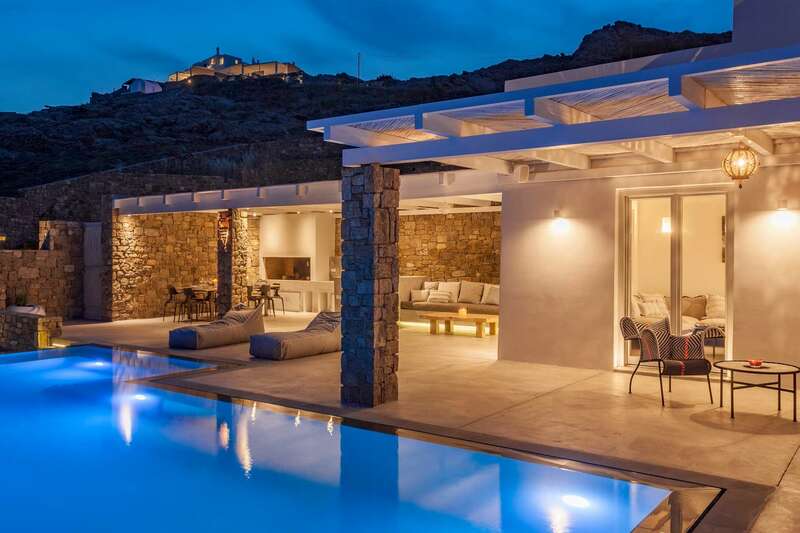 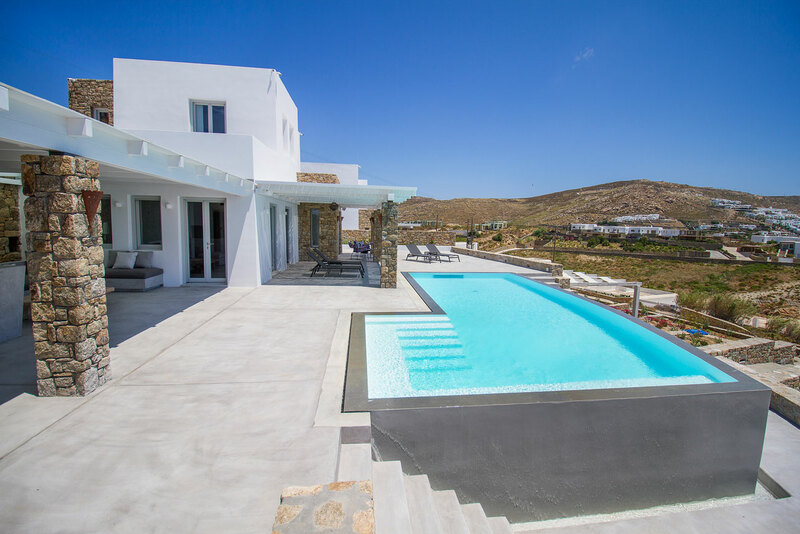 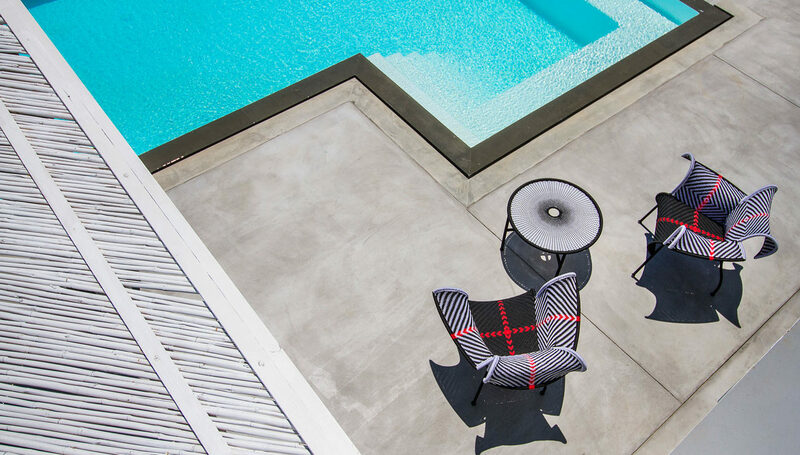 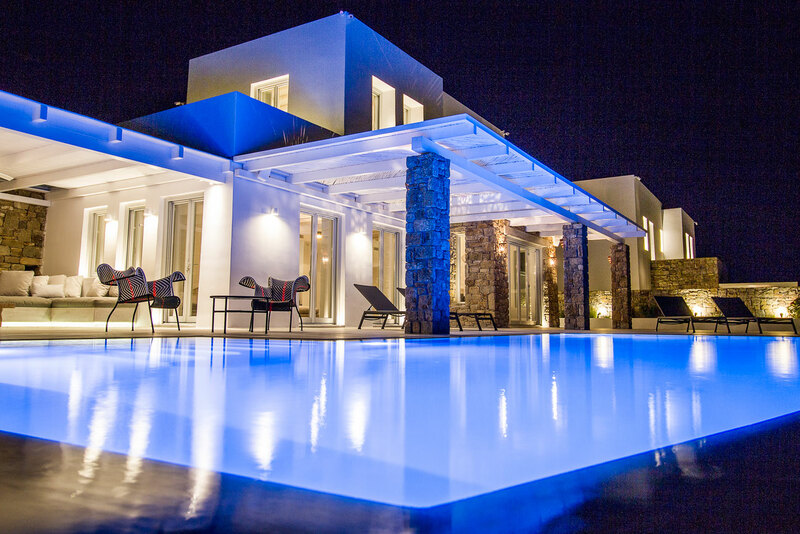 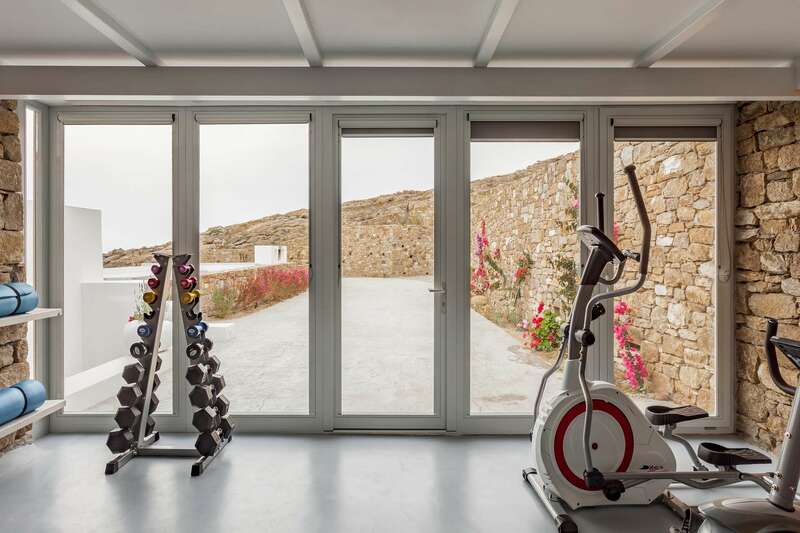 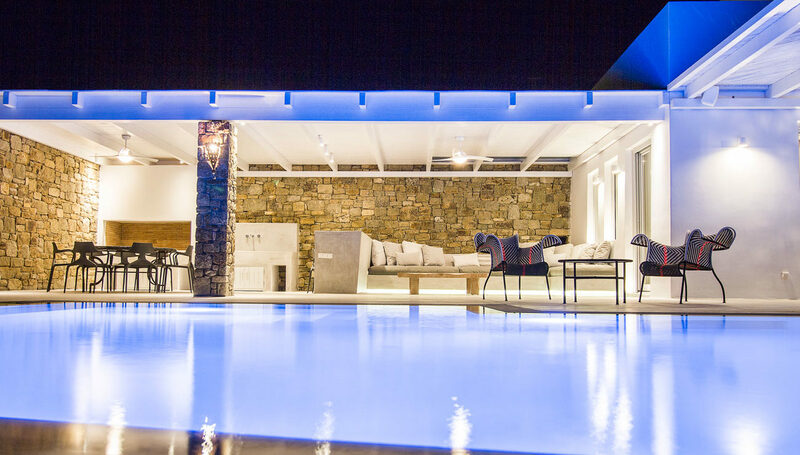 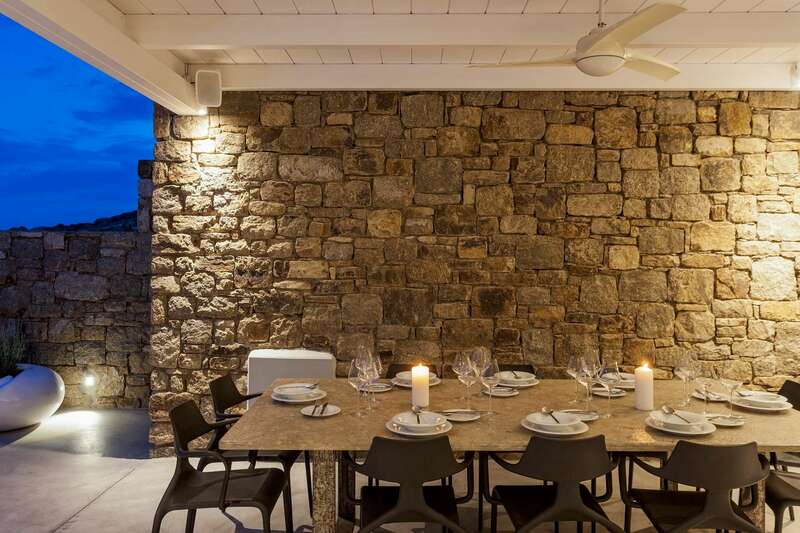 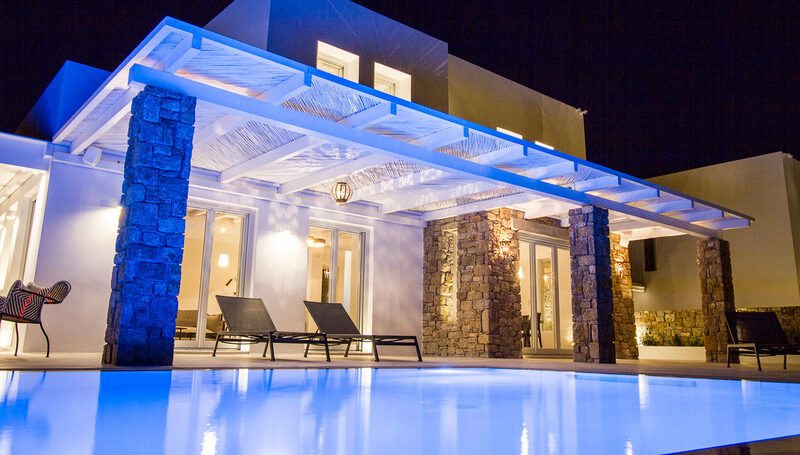 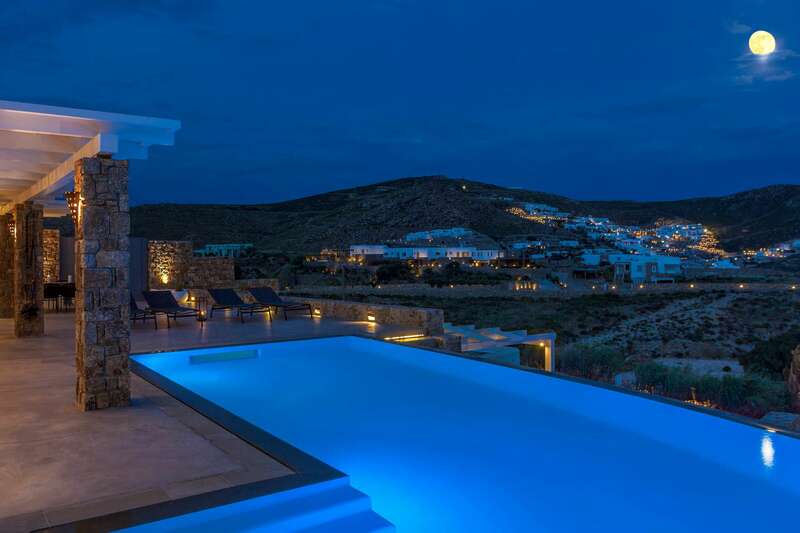 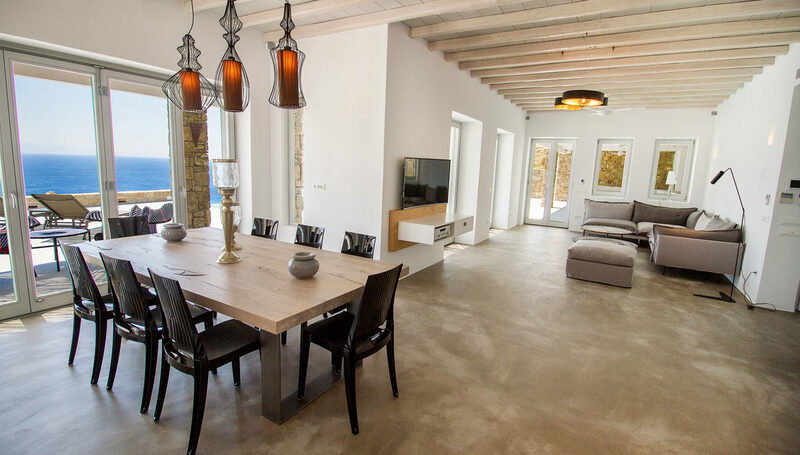 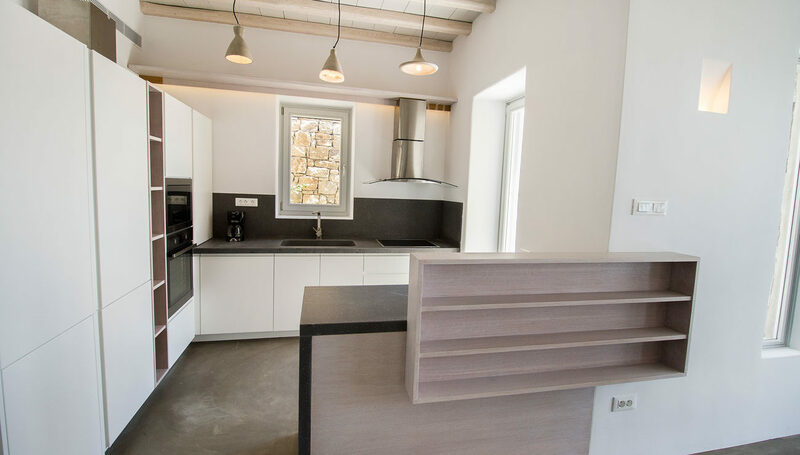 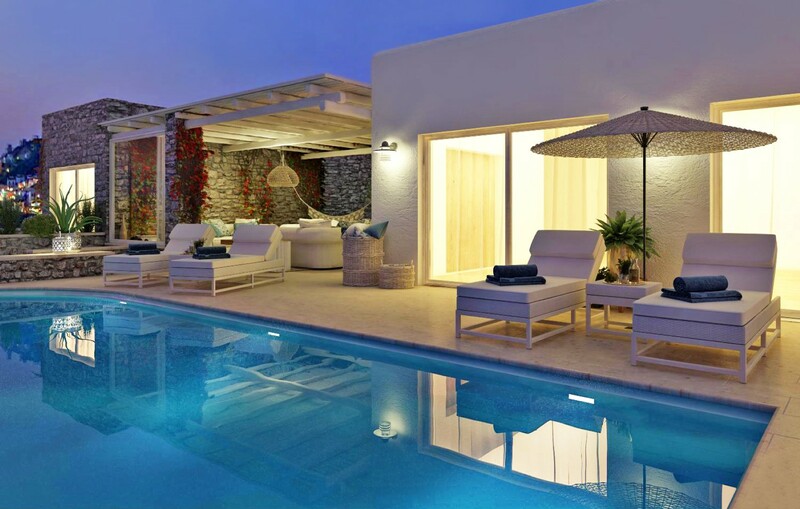 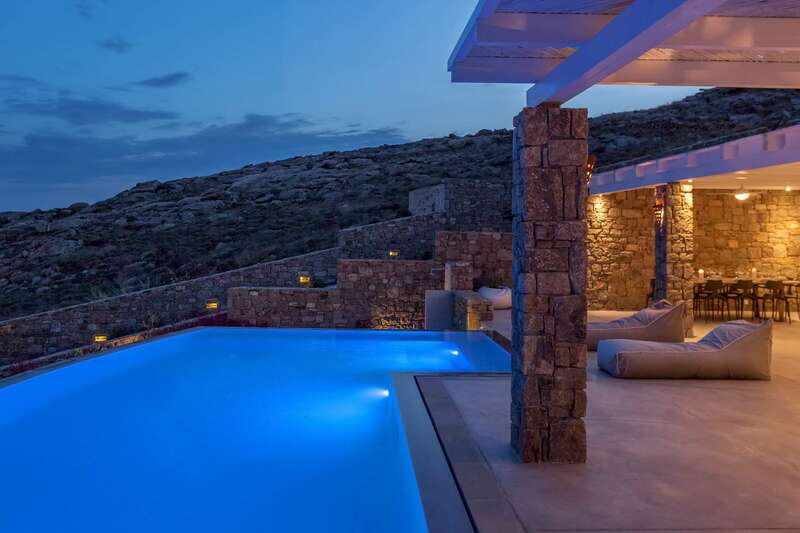 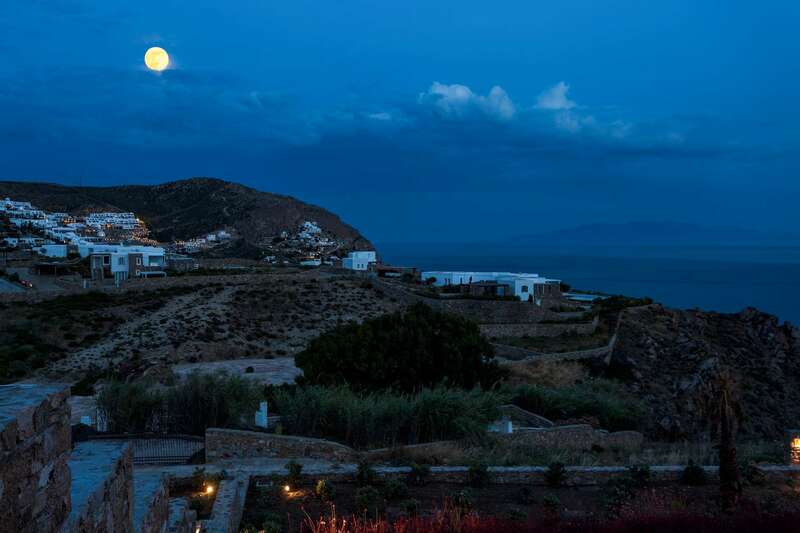 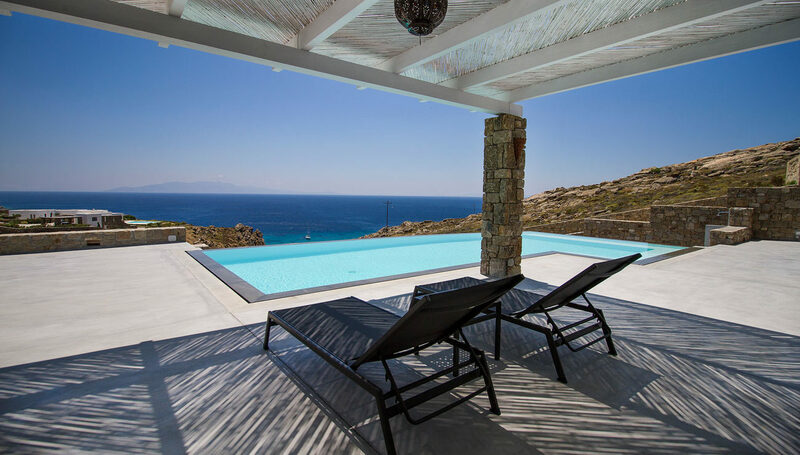 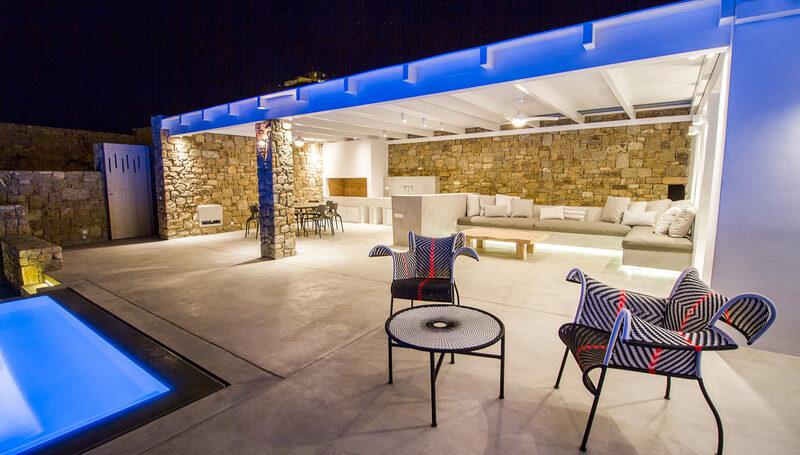 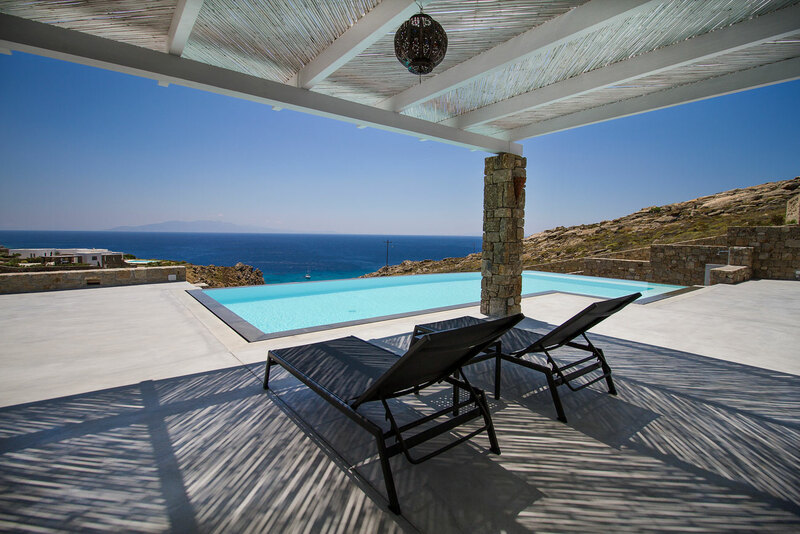 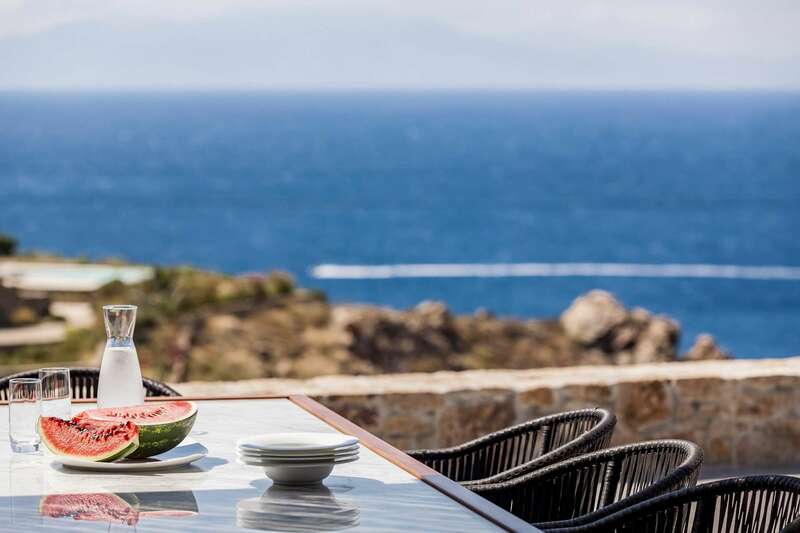 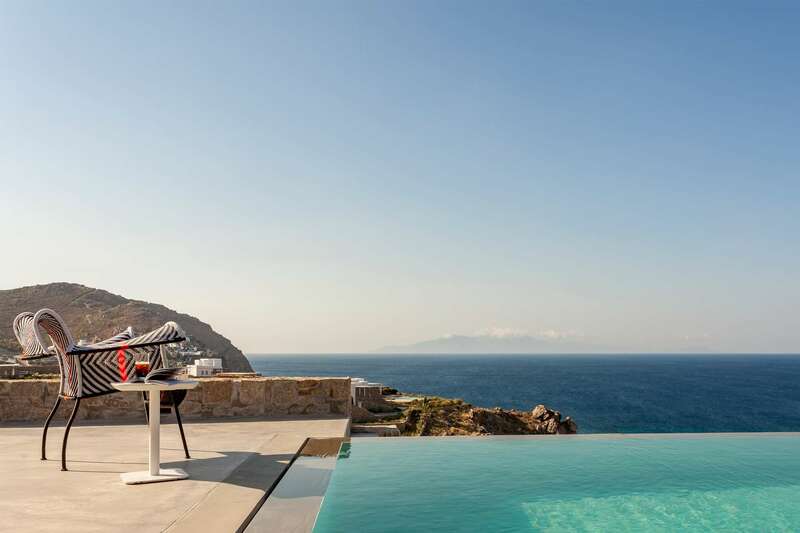 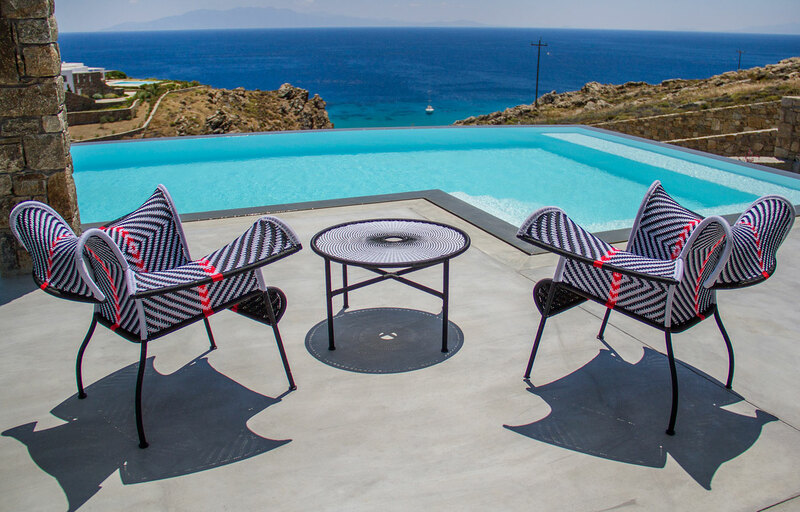 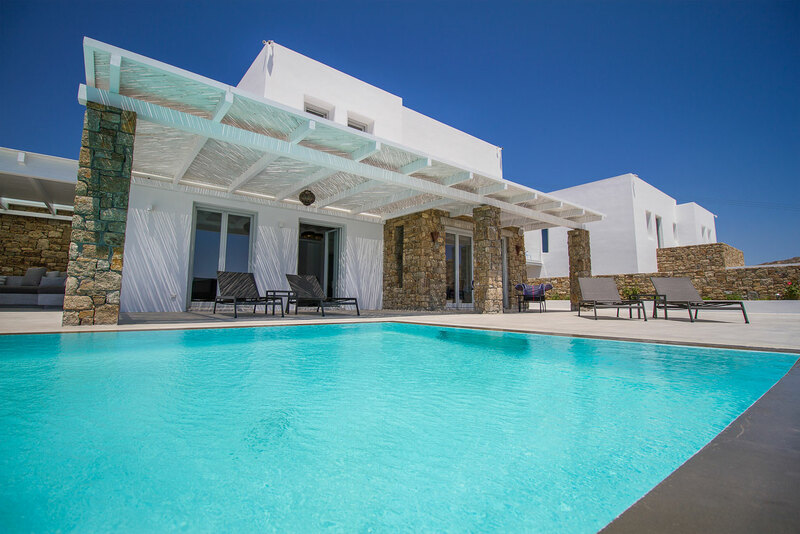 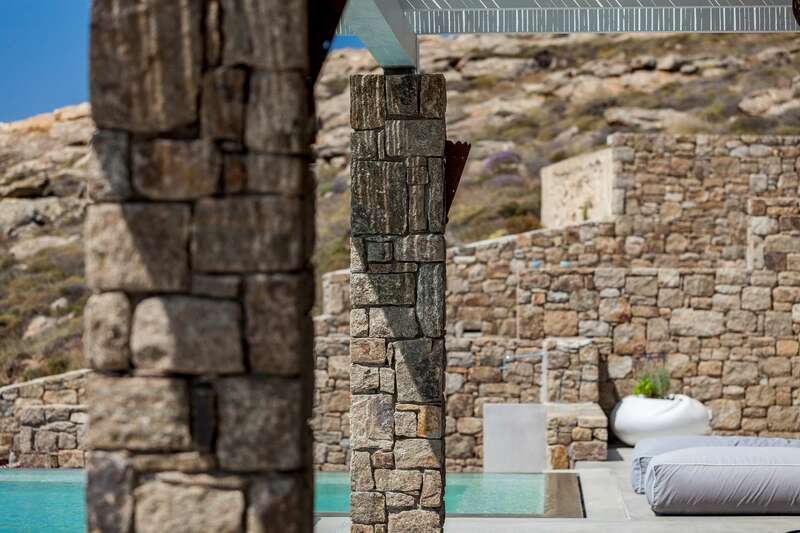 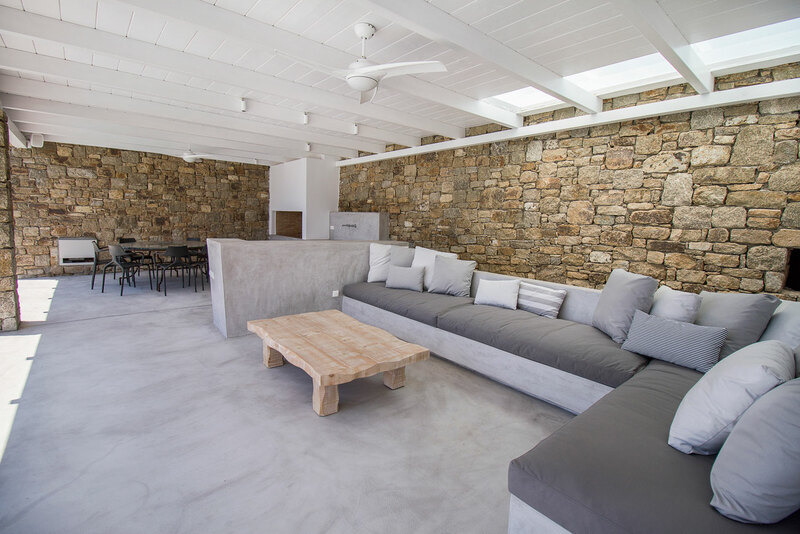 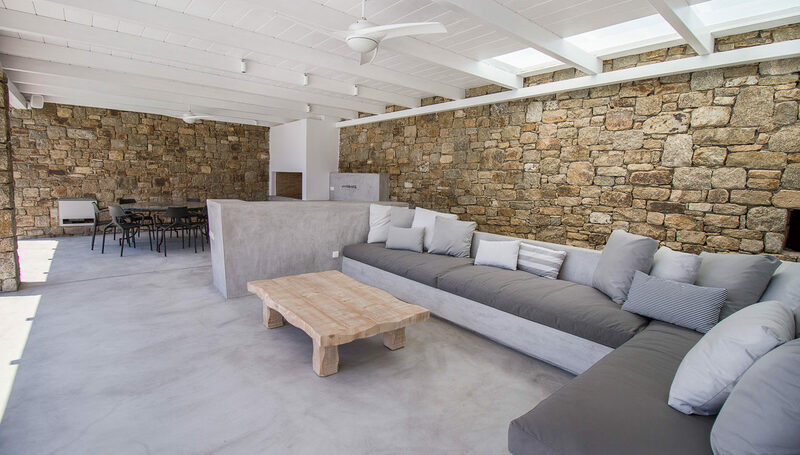 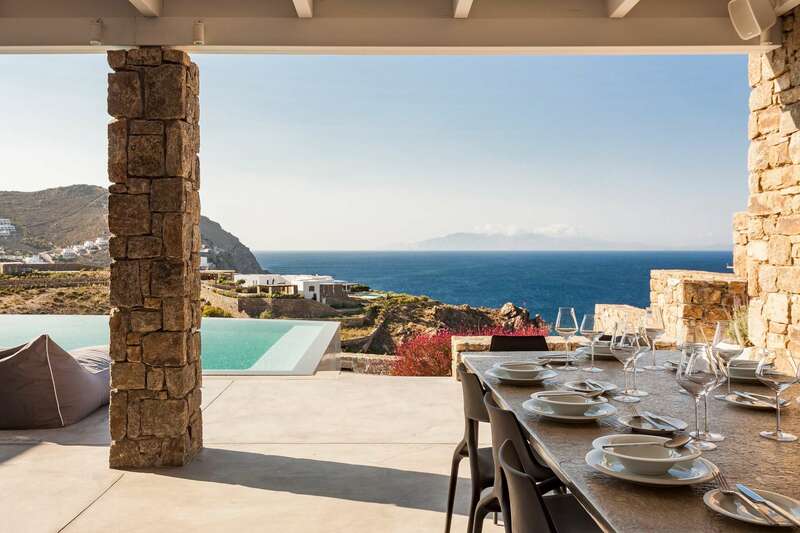 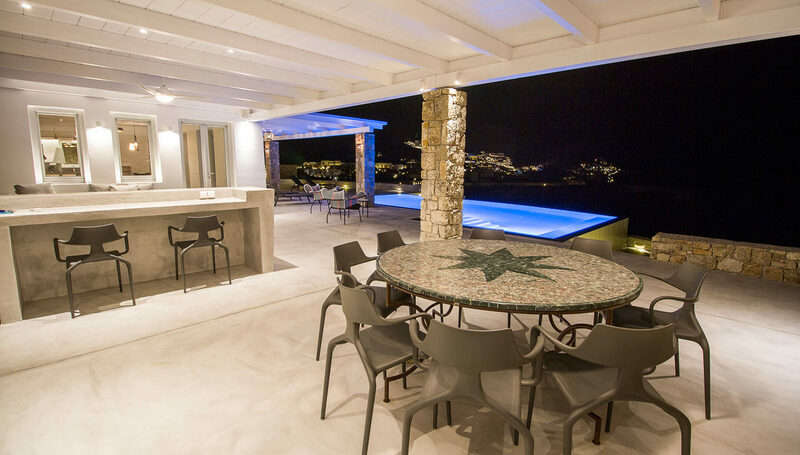 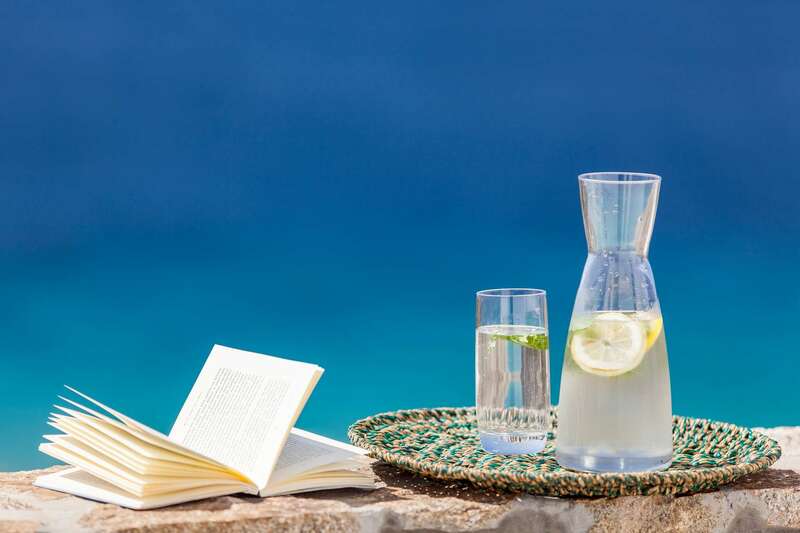 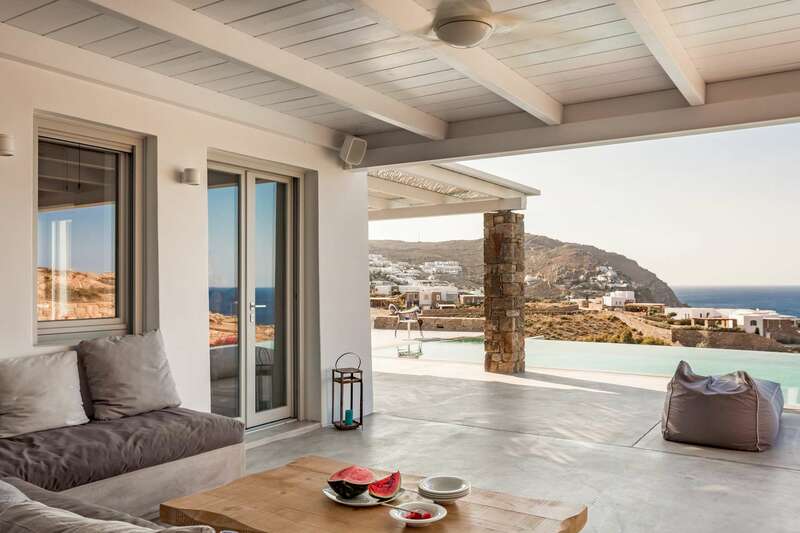 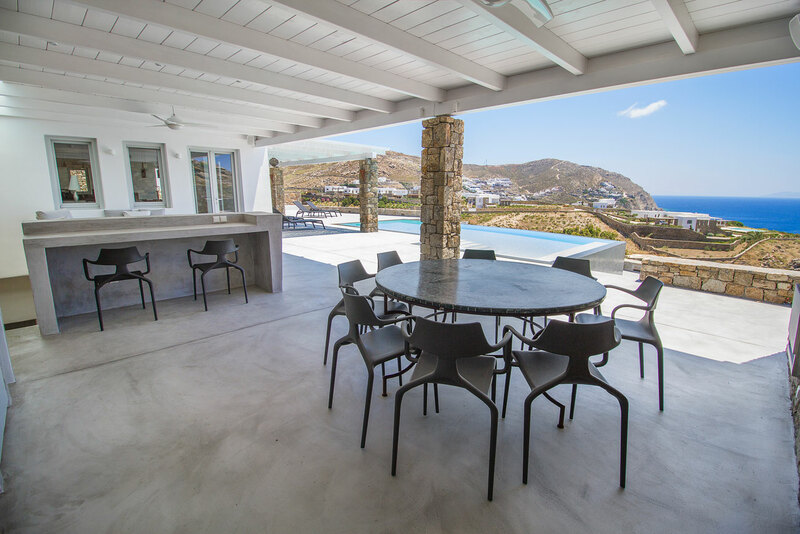 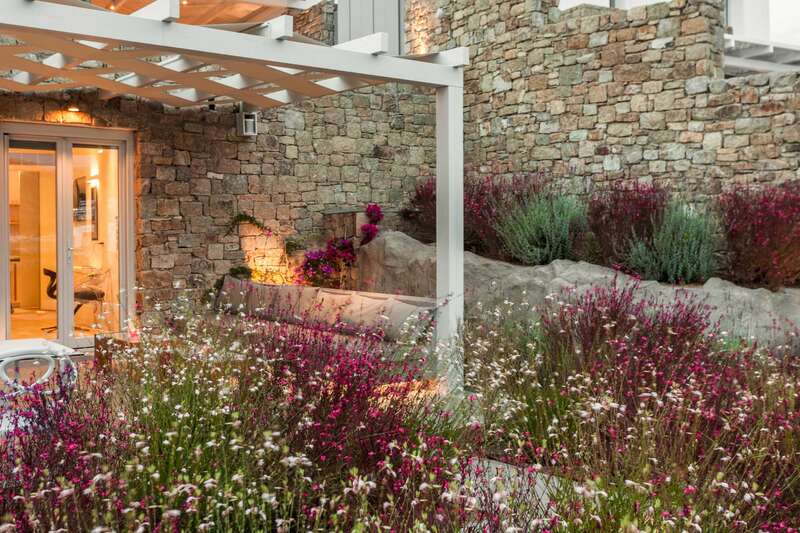 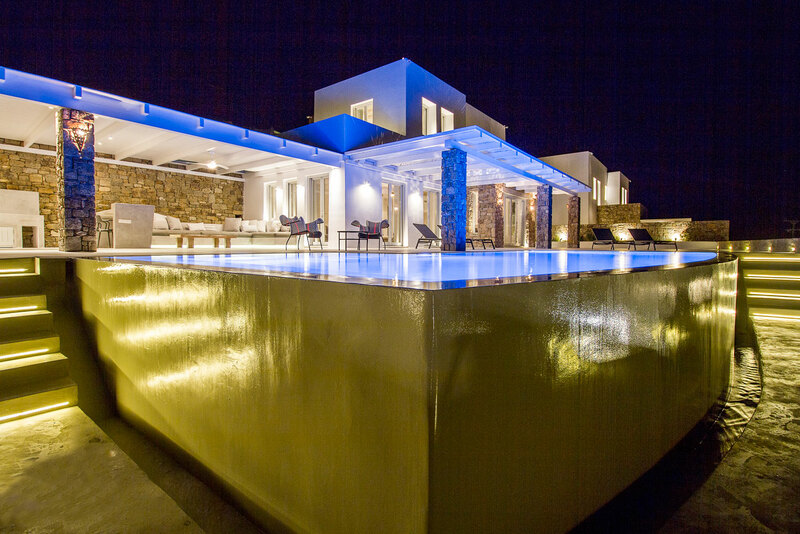 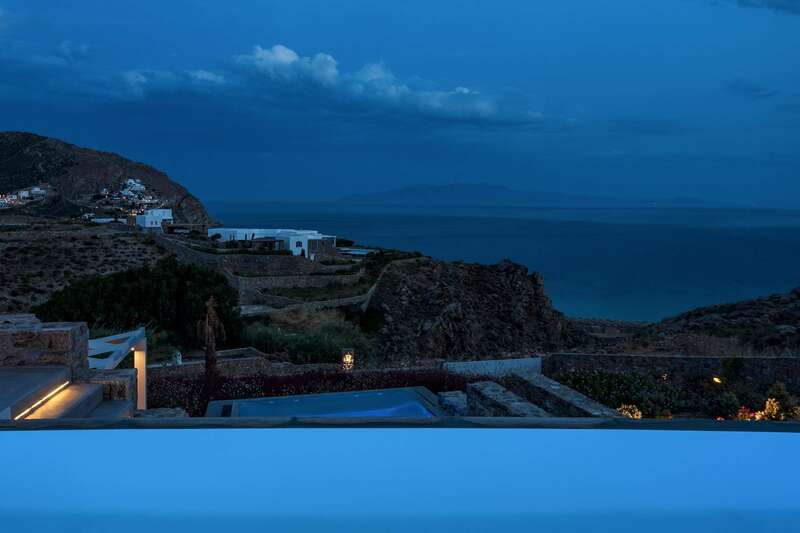 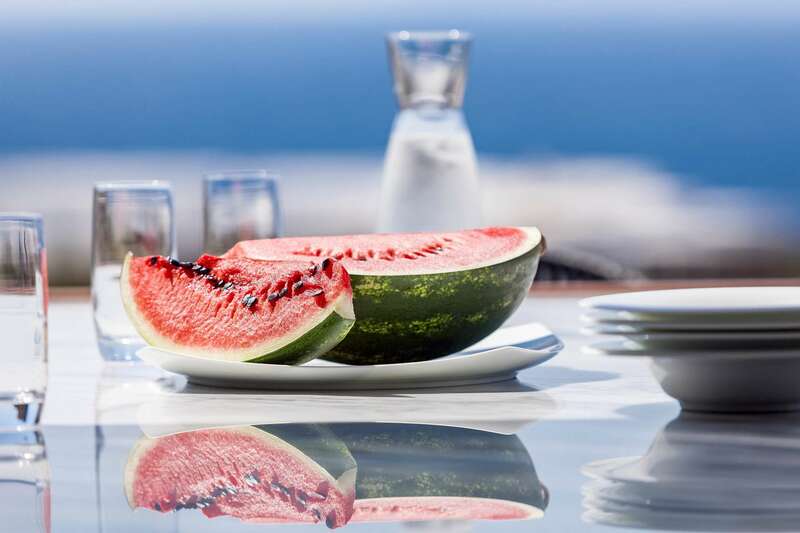 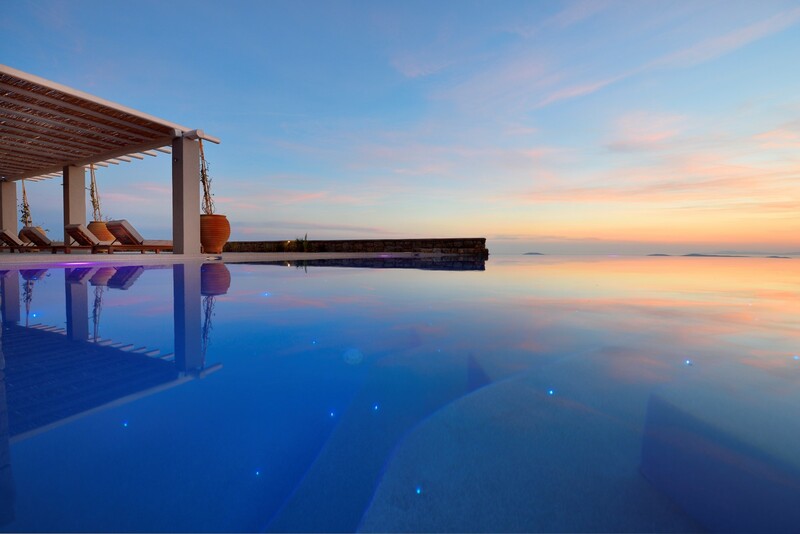 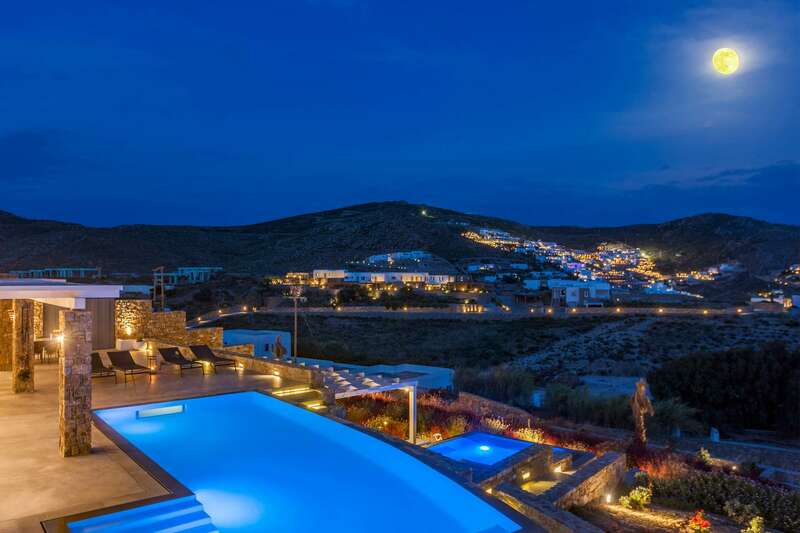 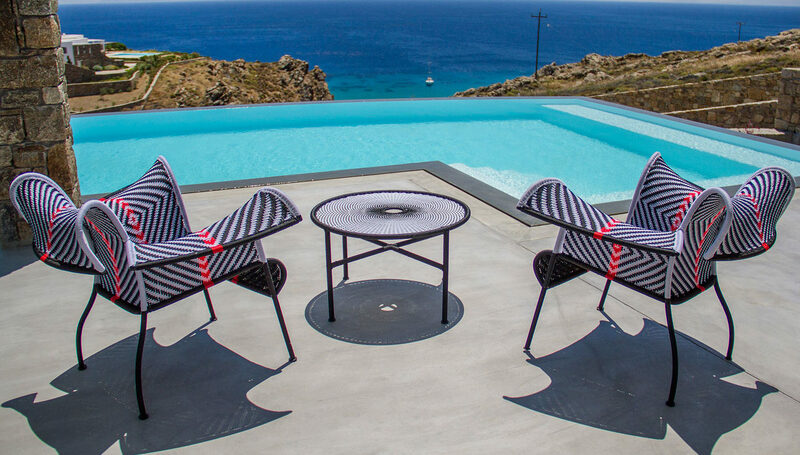 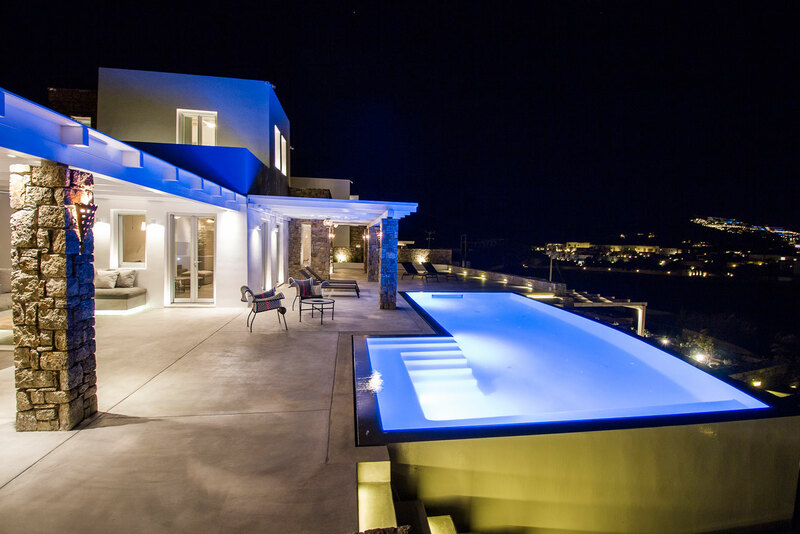 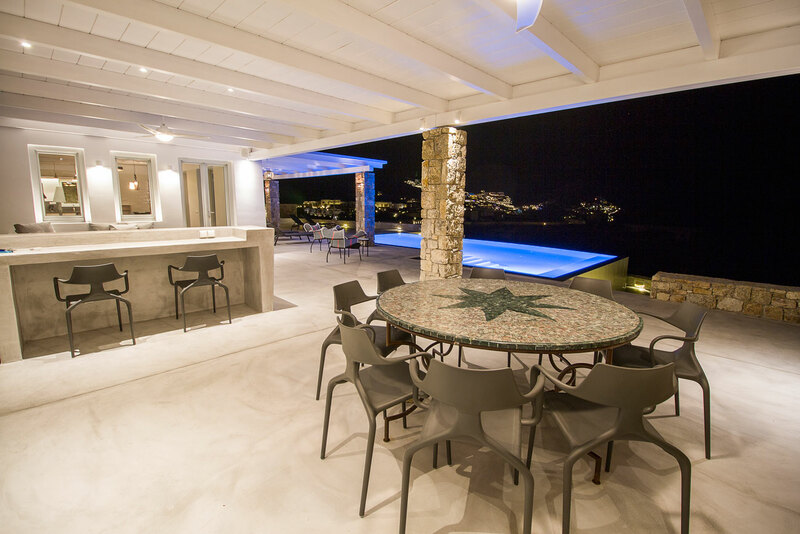 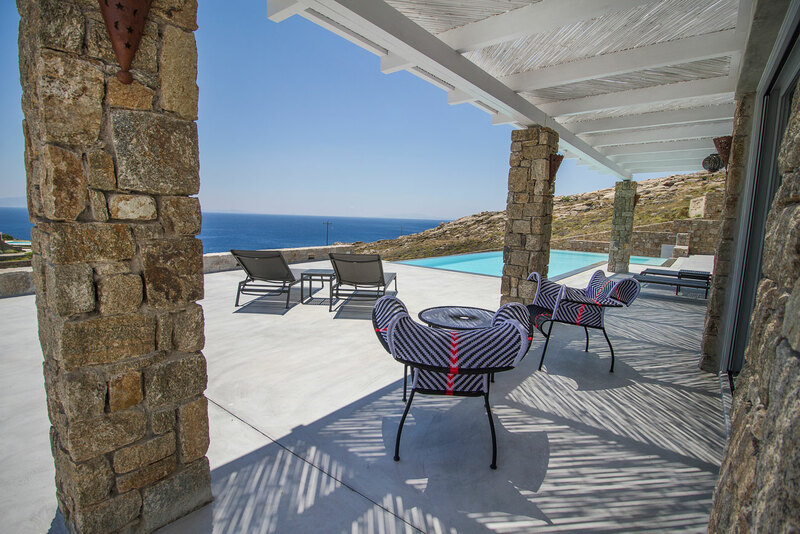 Villa Marina is a spectacular villa in Mykonos designed to offer you a truly memorable holiday! 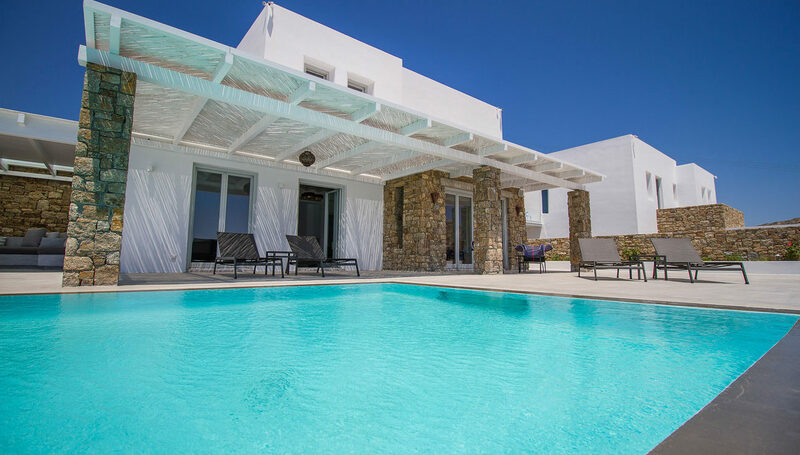 This magnificent residence boasts a gorgeous infinity pool and lovely outdoor areas for you to enjoy the warm weather with views over Elia beach and the infinite blue sea. 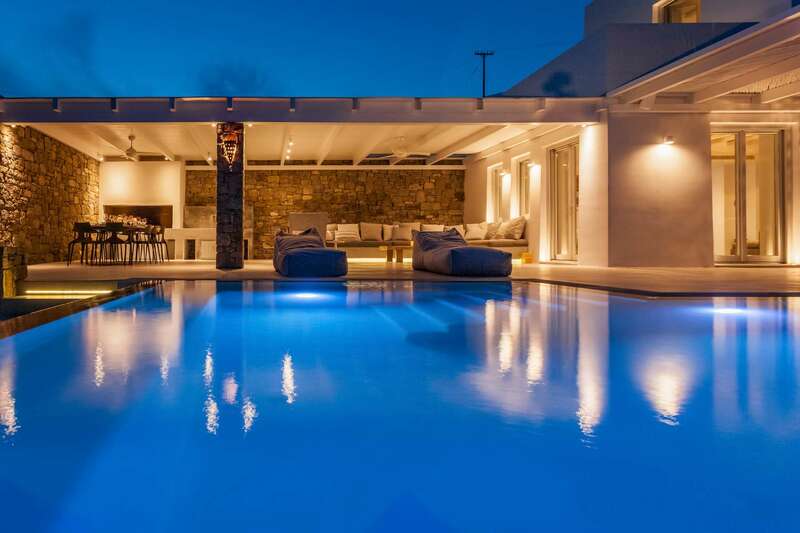 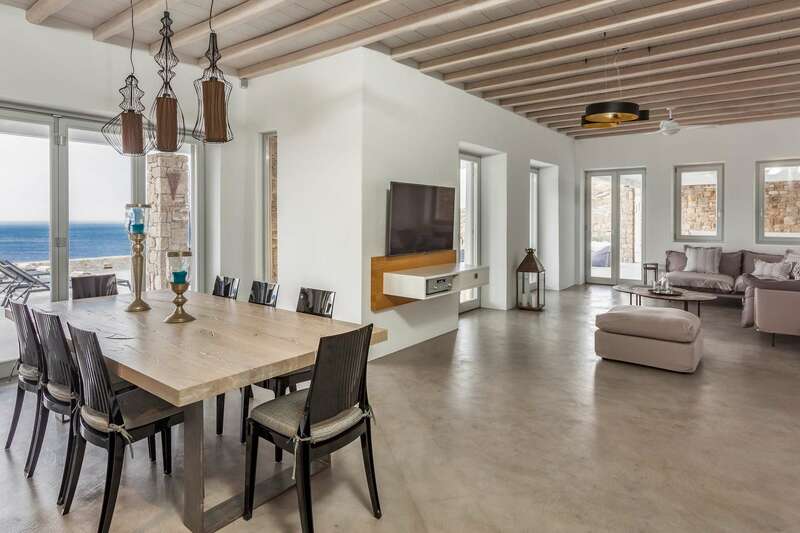 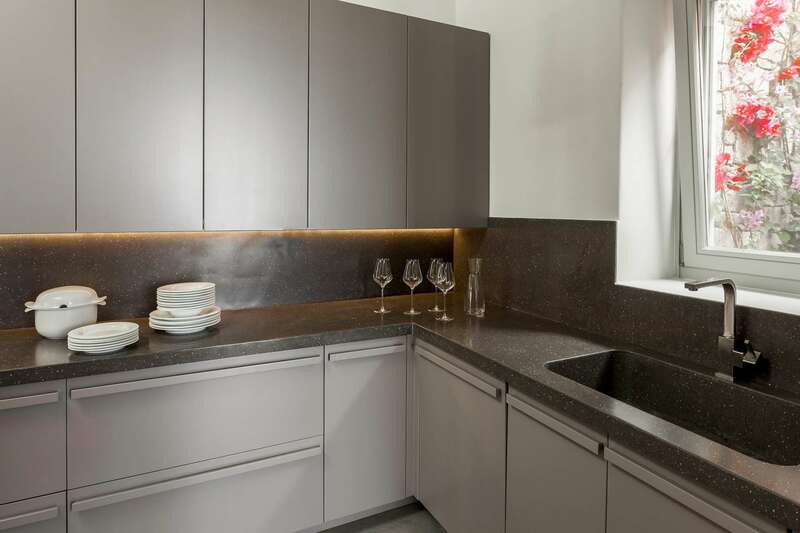 12 People 6 Bedrooms 6 Bathrooms This staggering residence can accommodate up to 12 people. 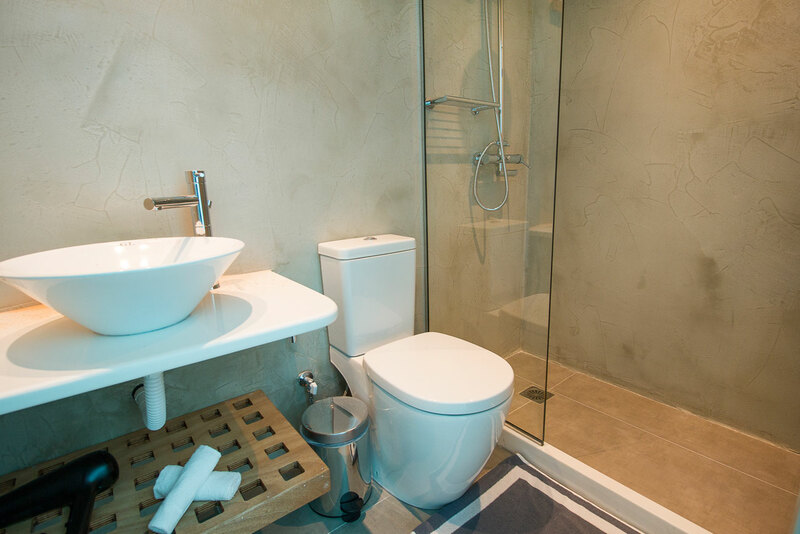 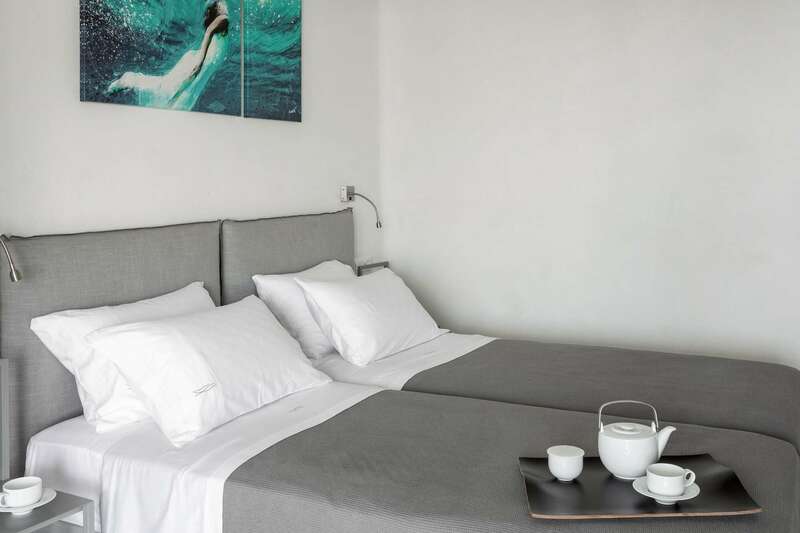 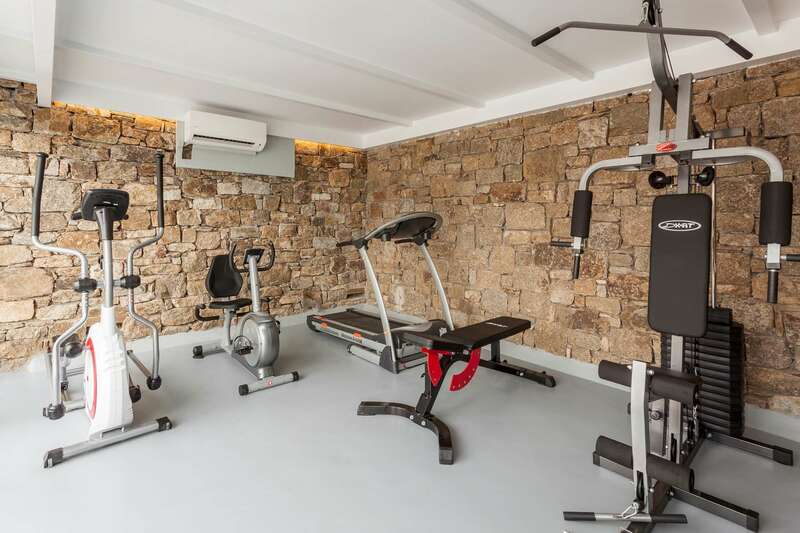 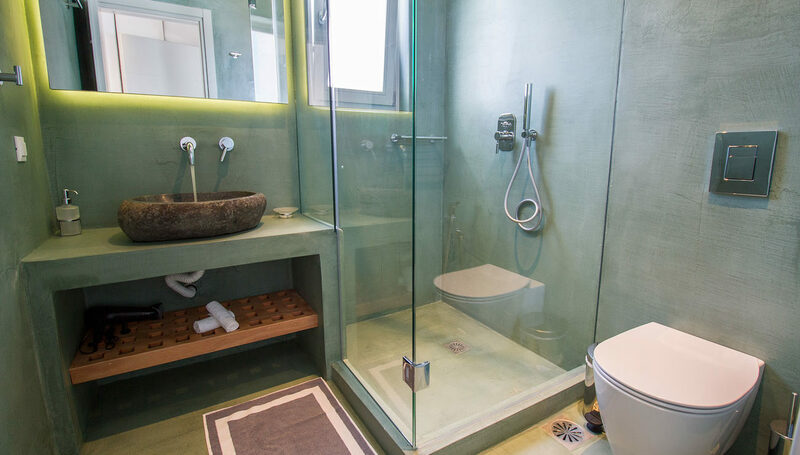 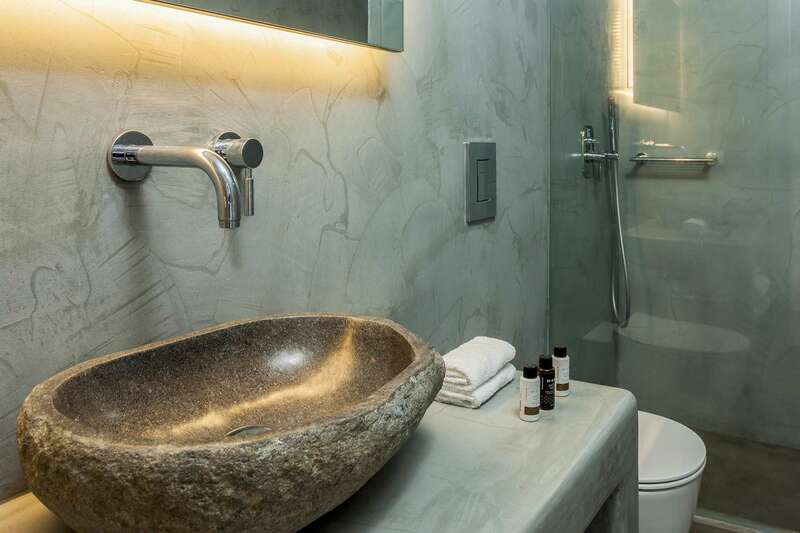 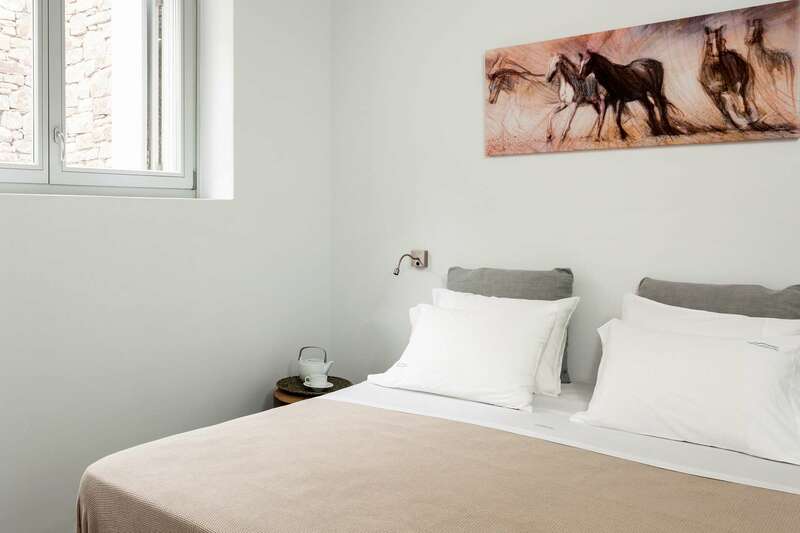 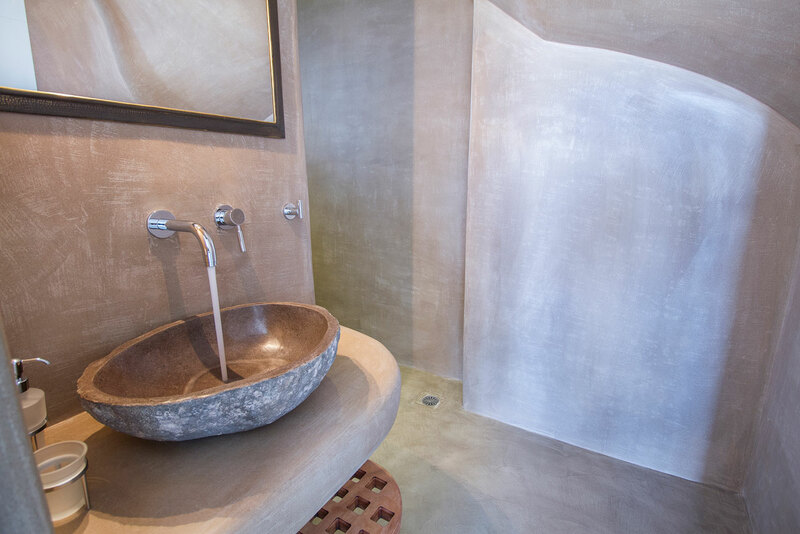 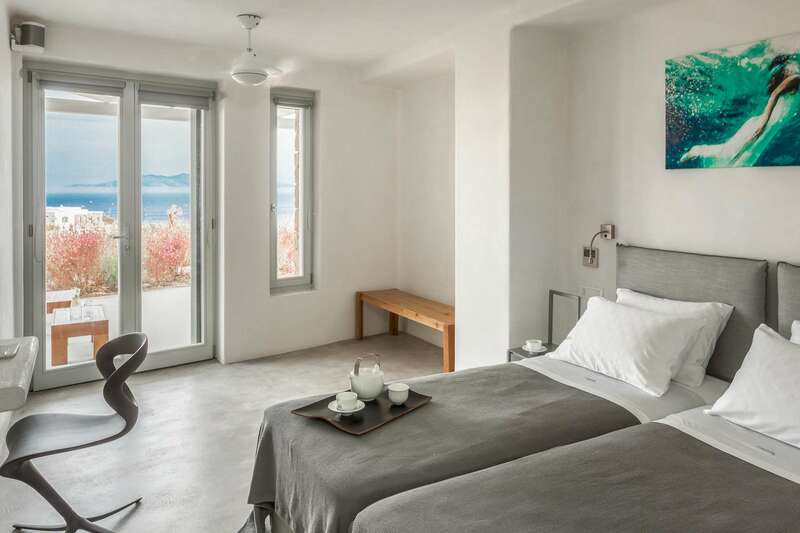 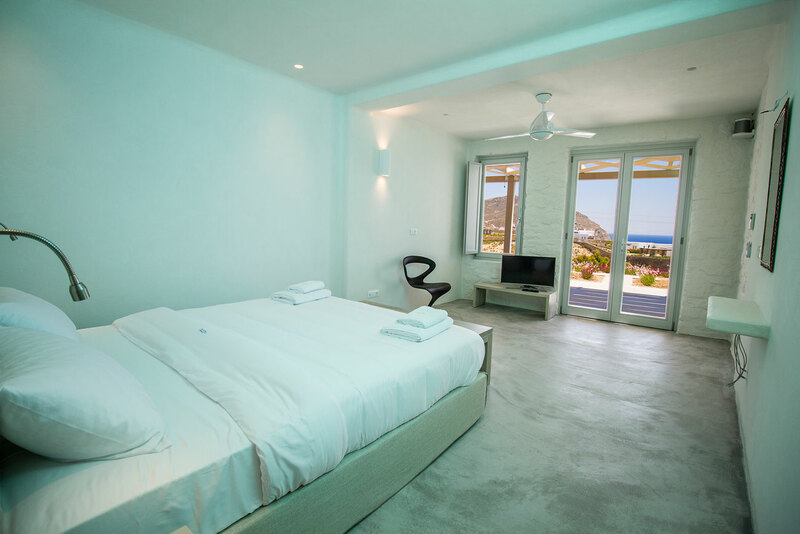 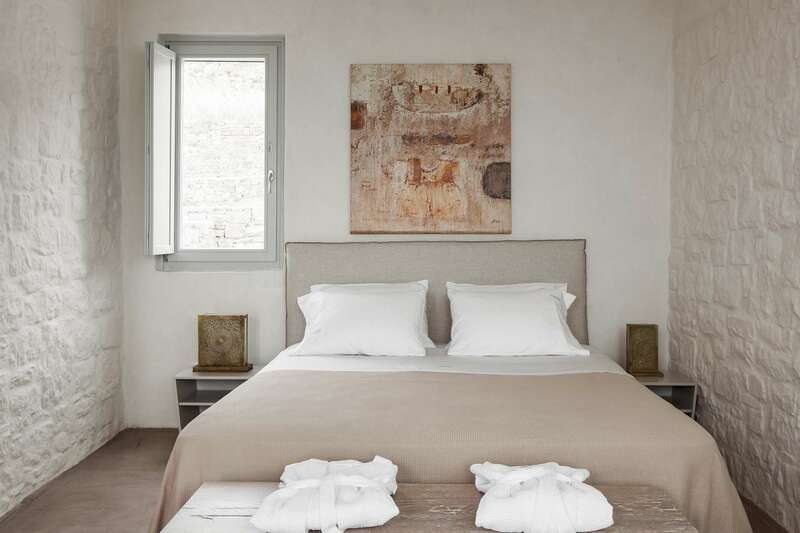 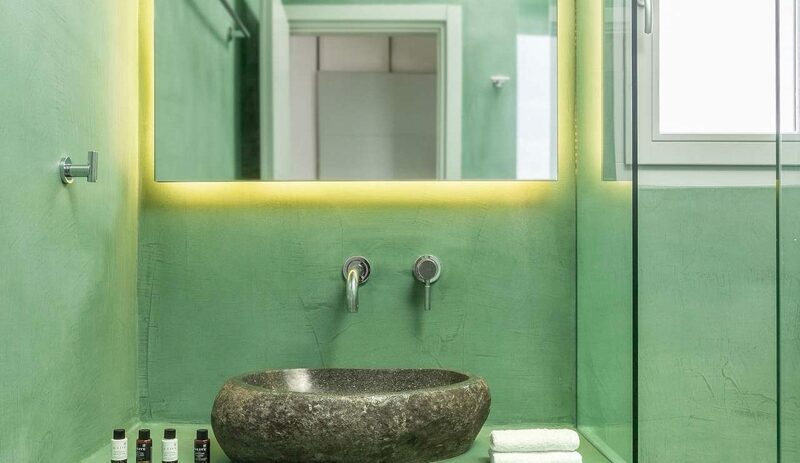 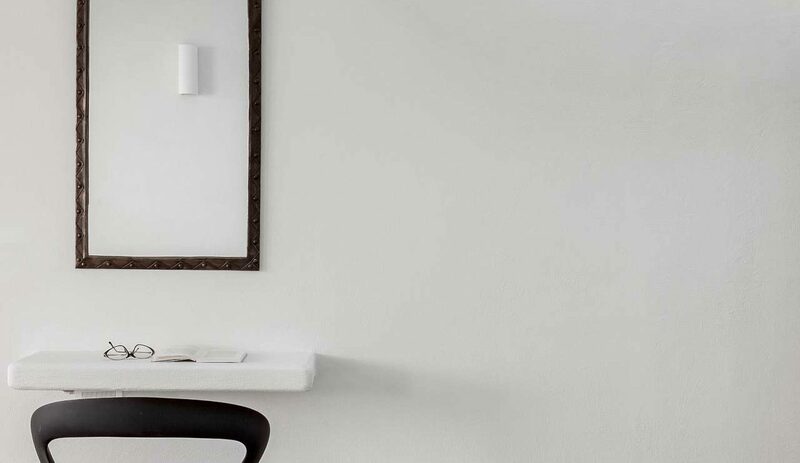 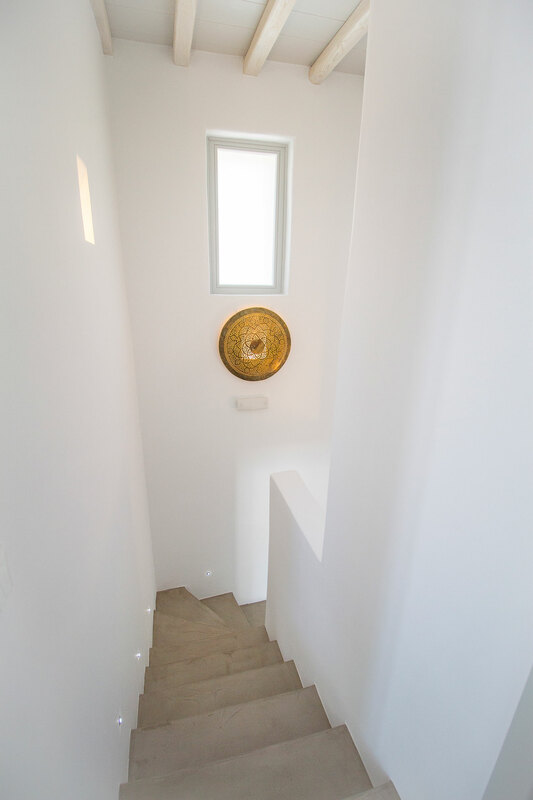 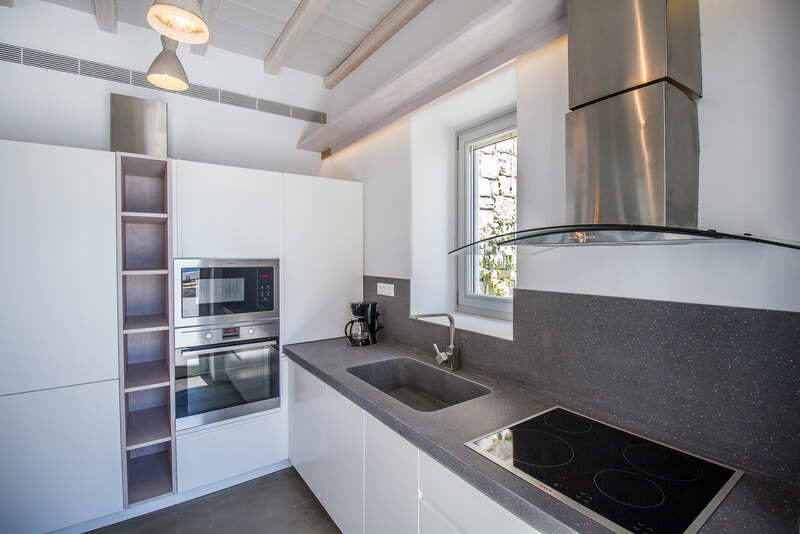 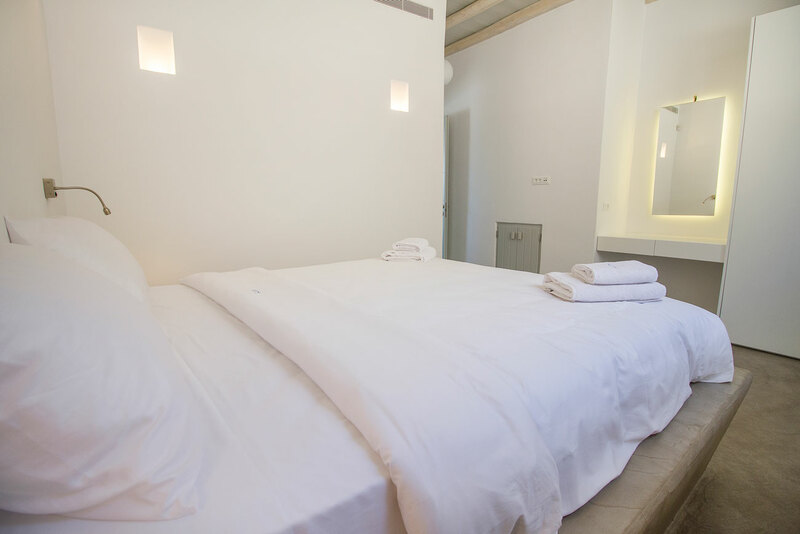 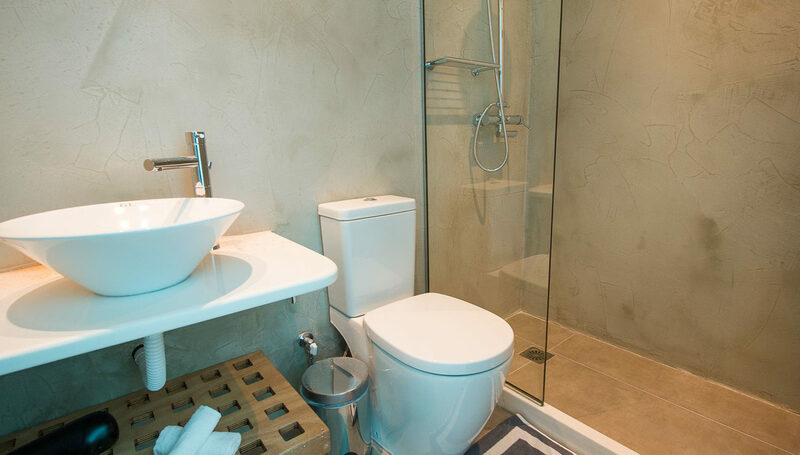 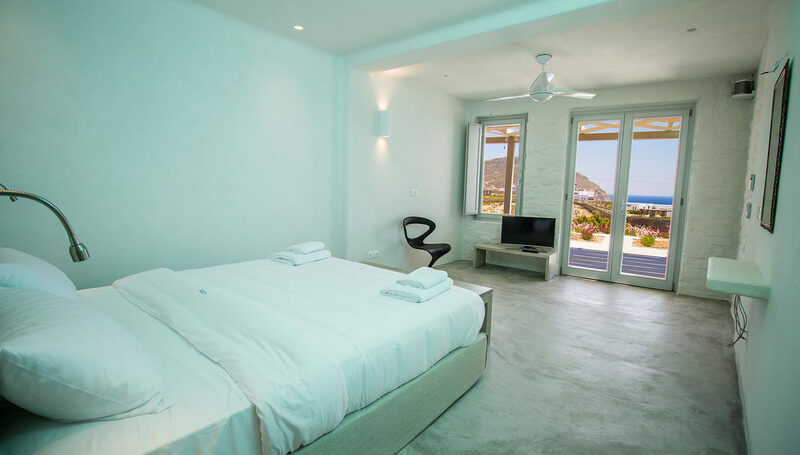 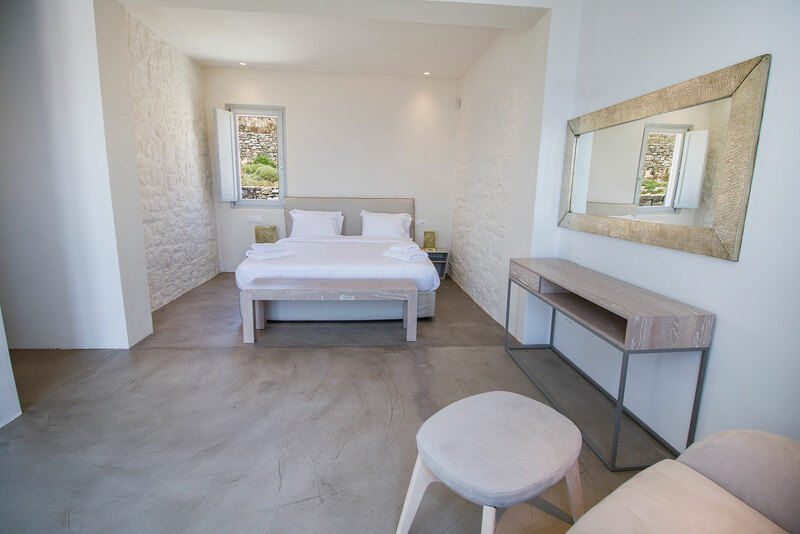 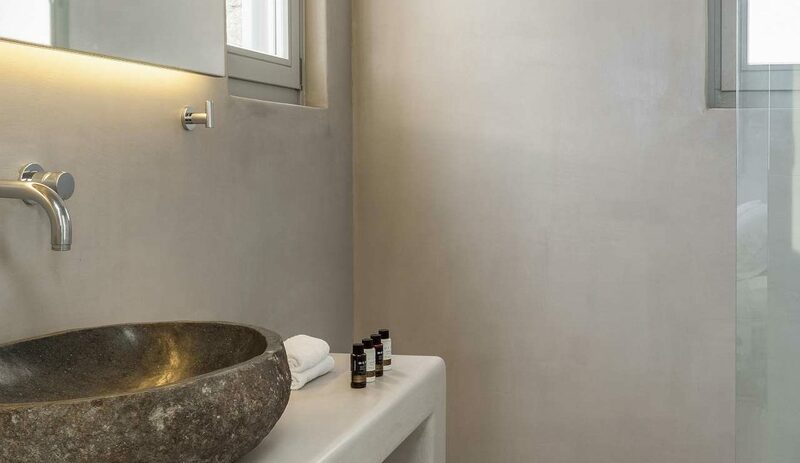 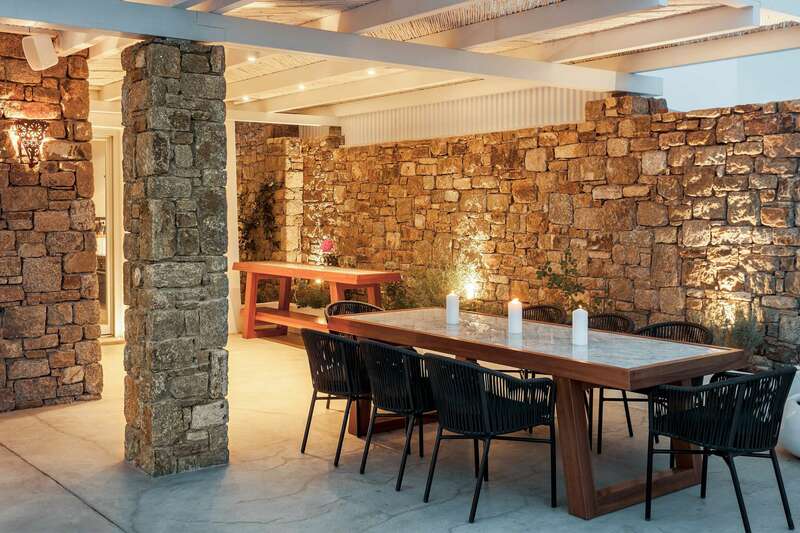 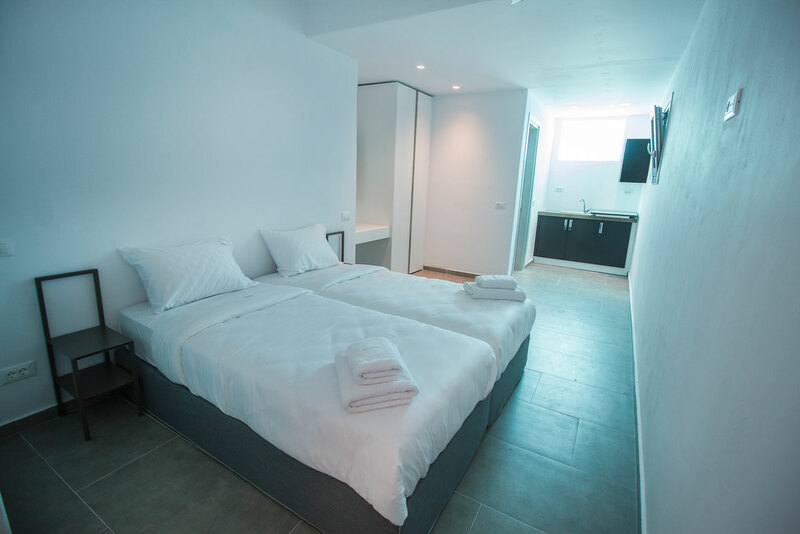 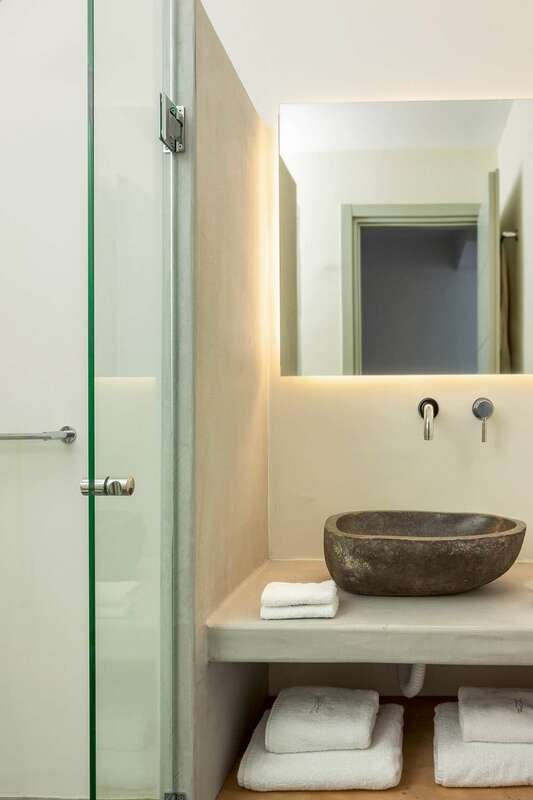 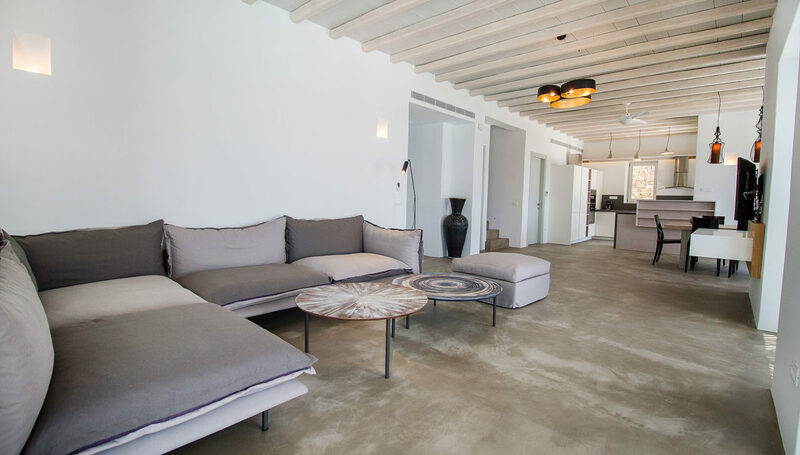 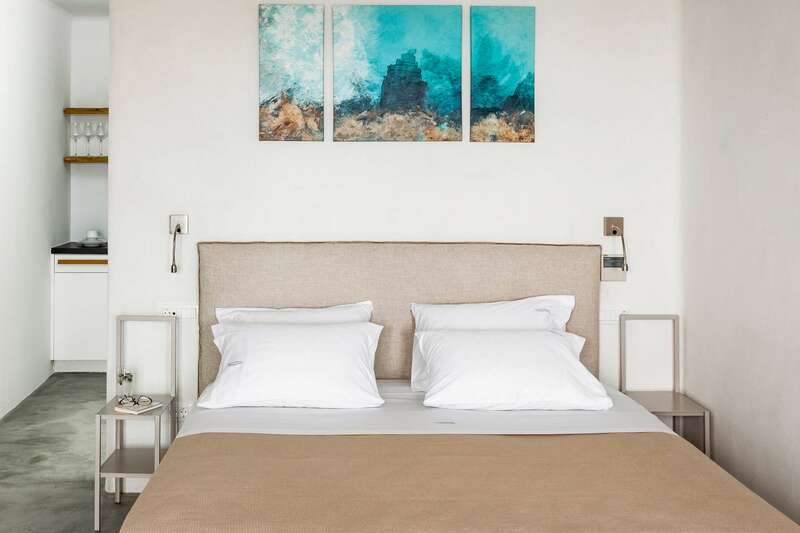 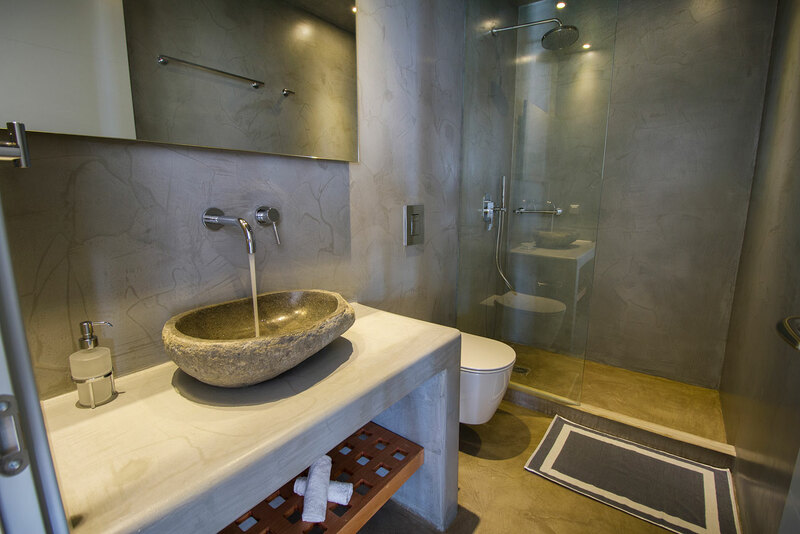 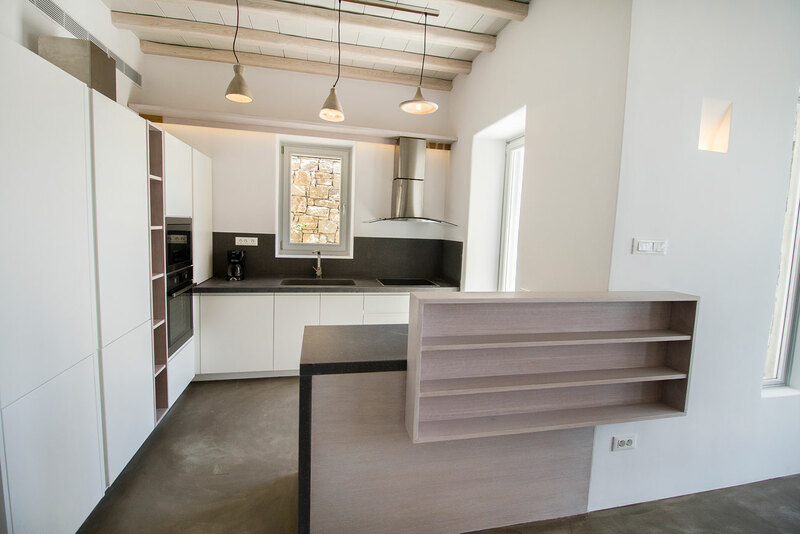 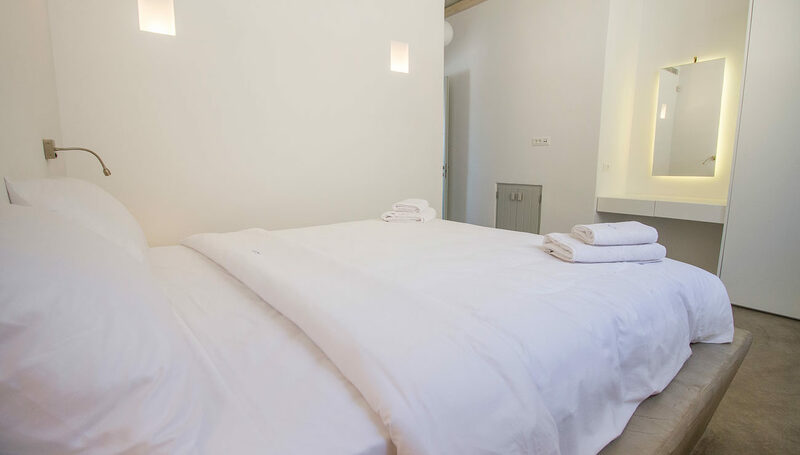 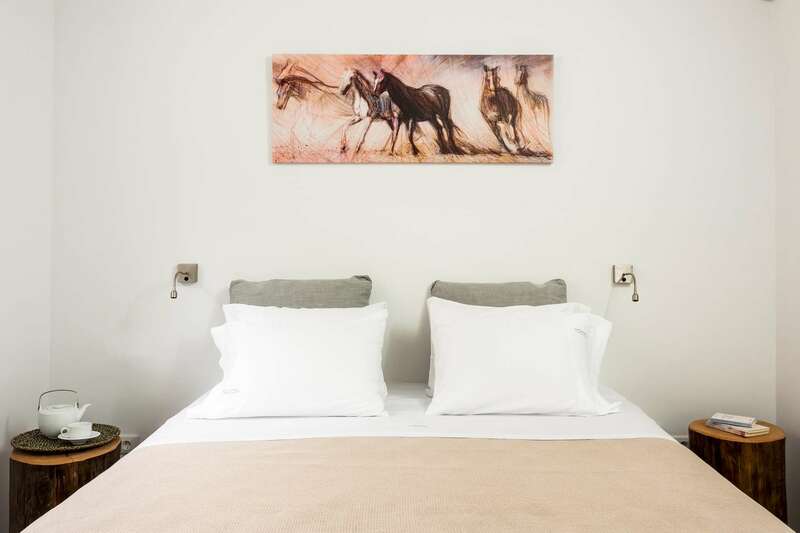 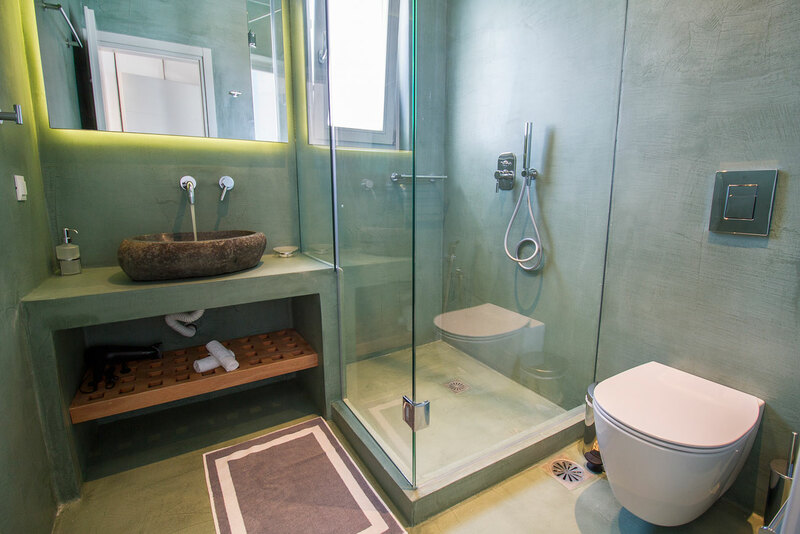 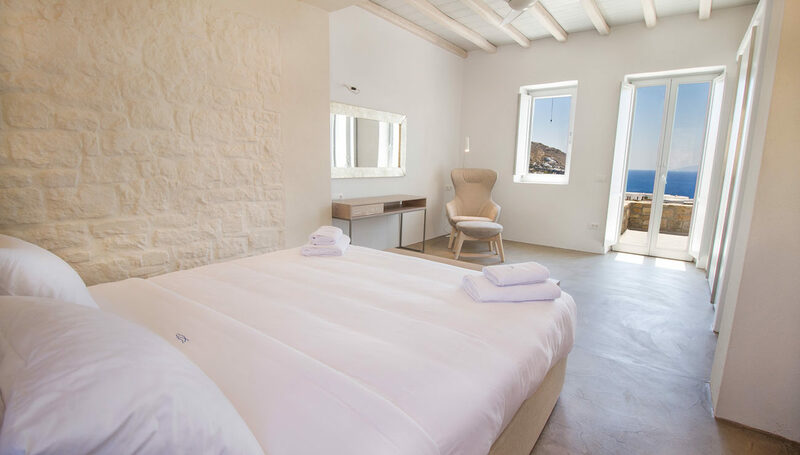 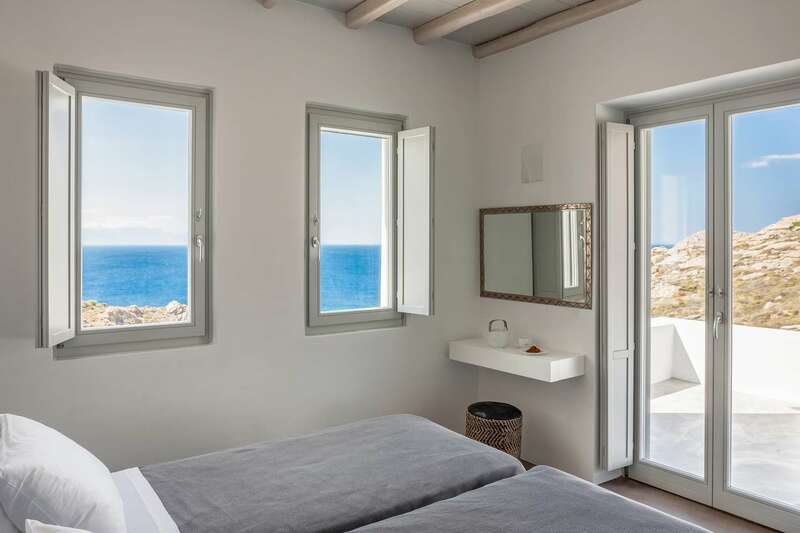 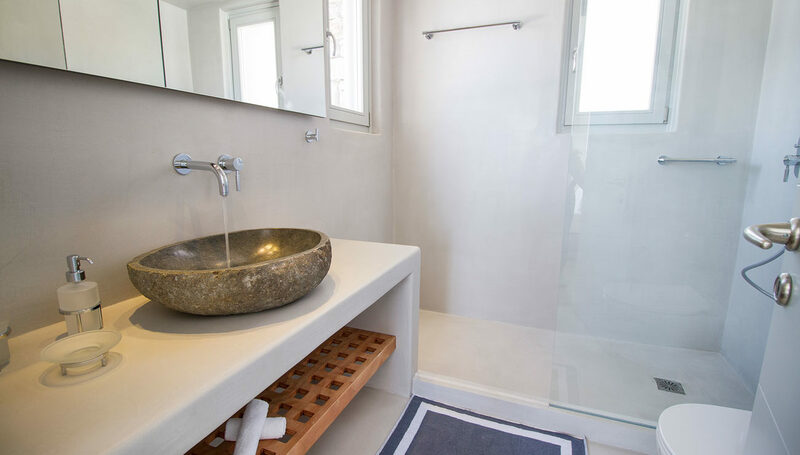 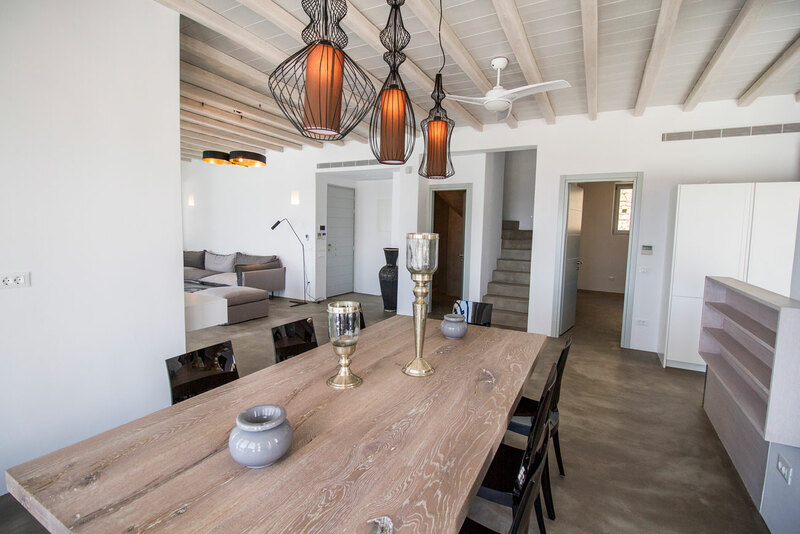 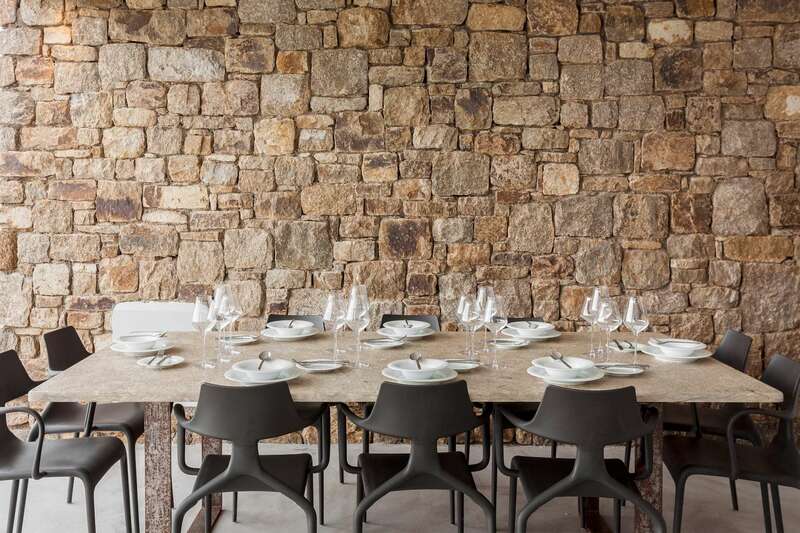 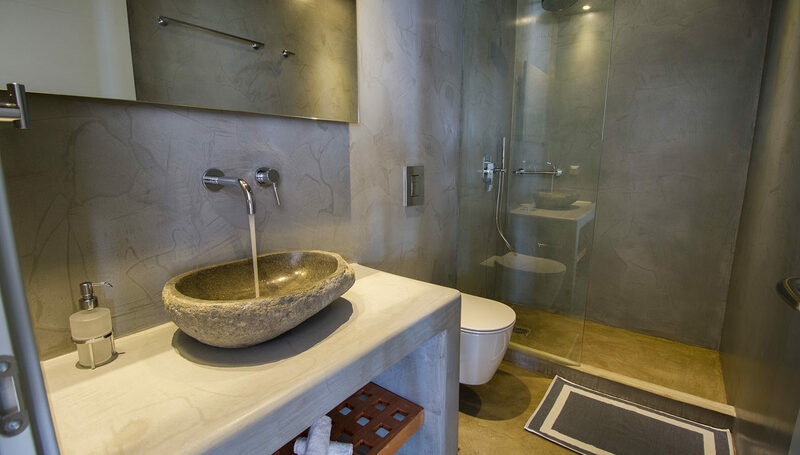 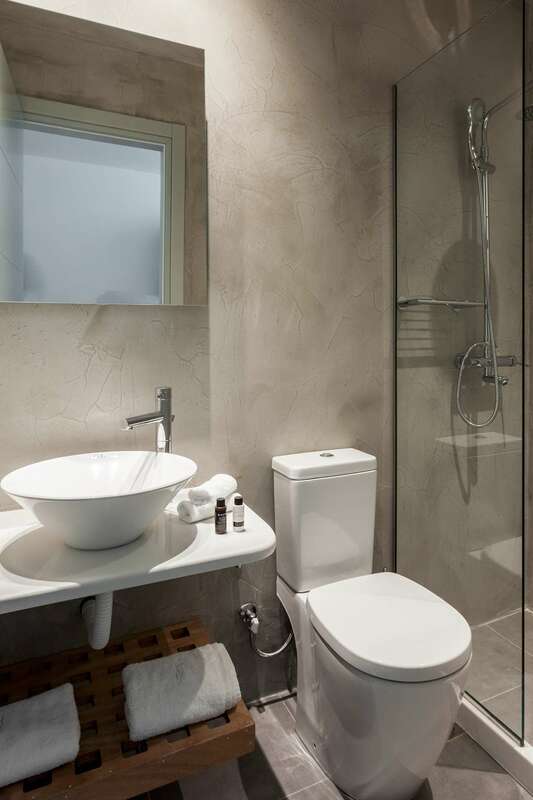 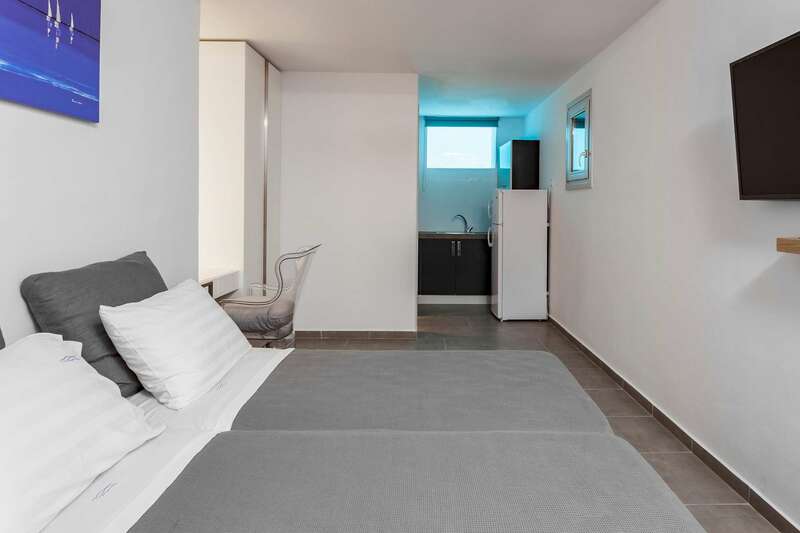 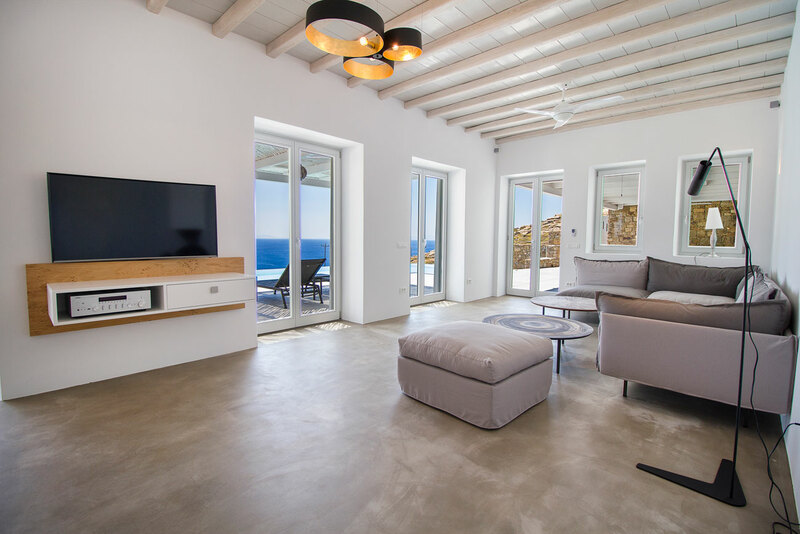 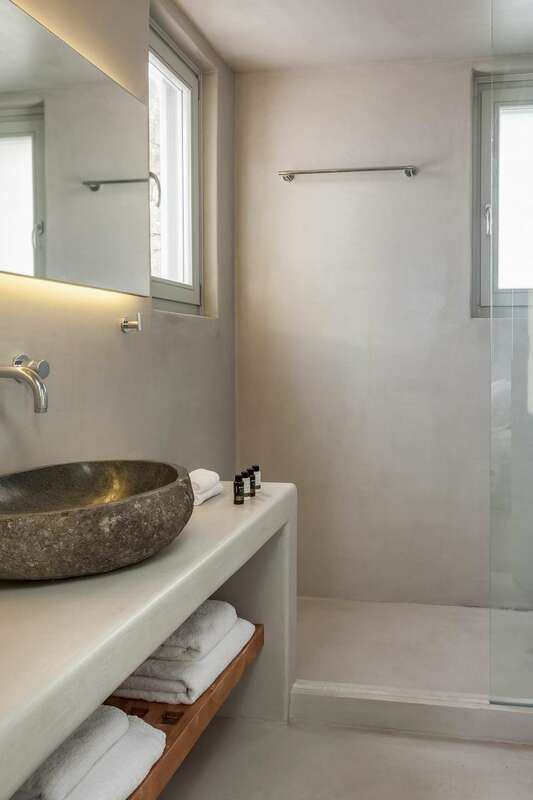 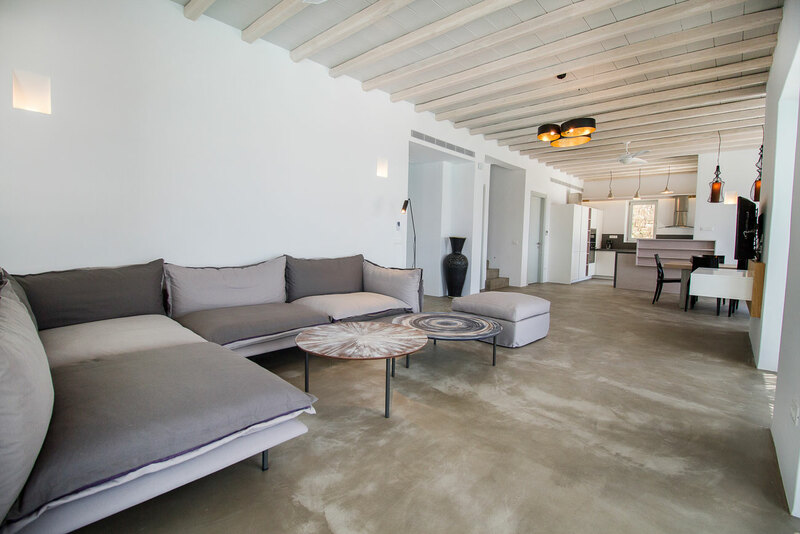 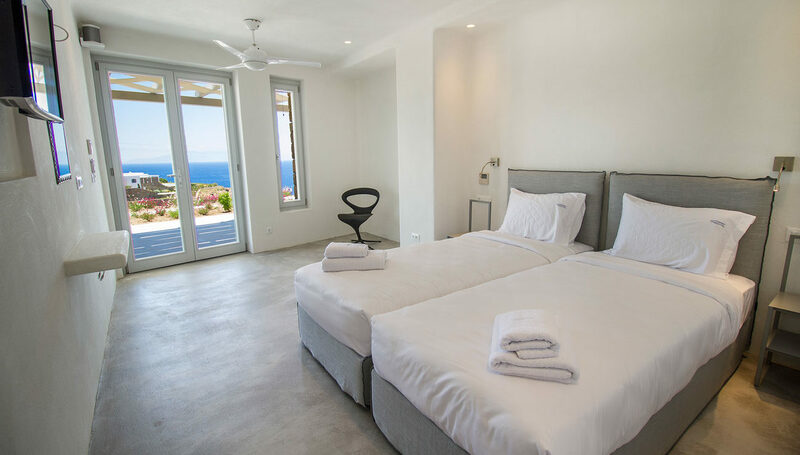 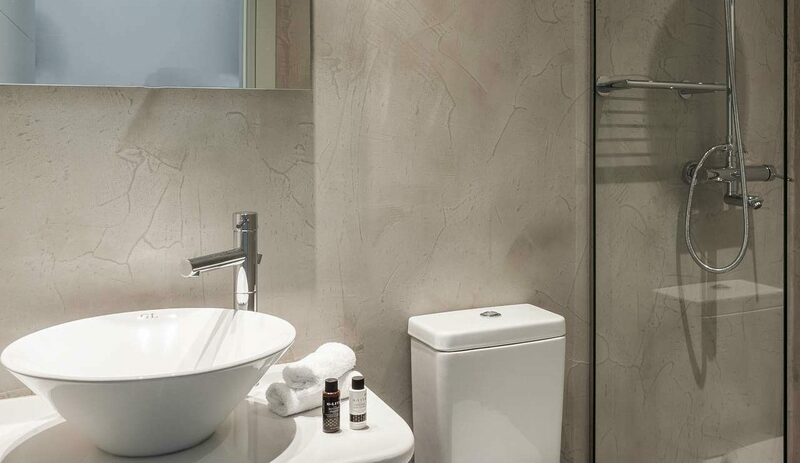 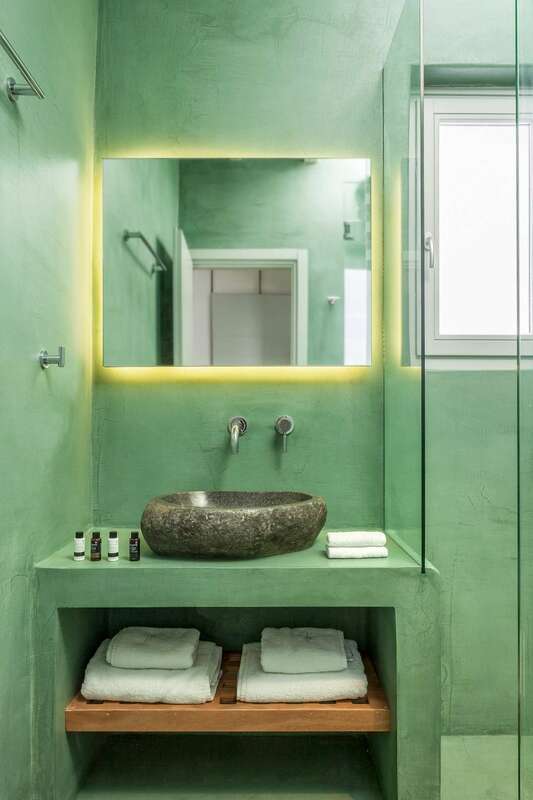 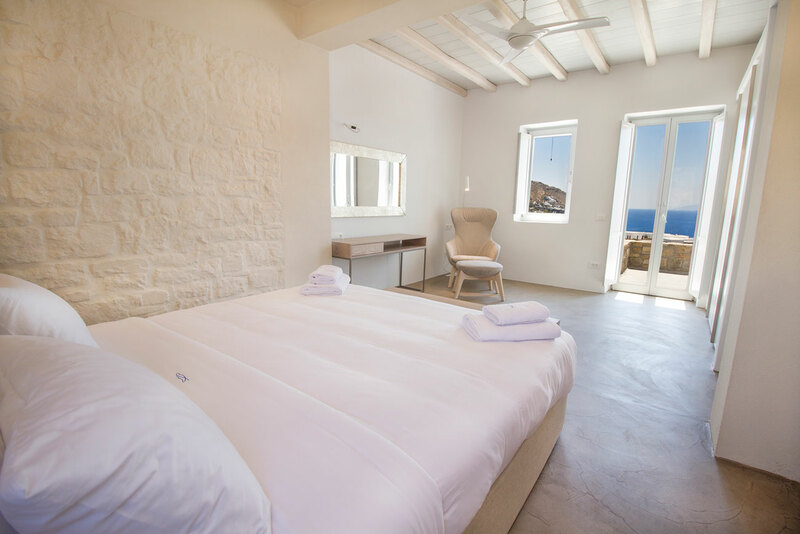 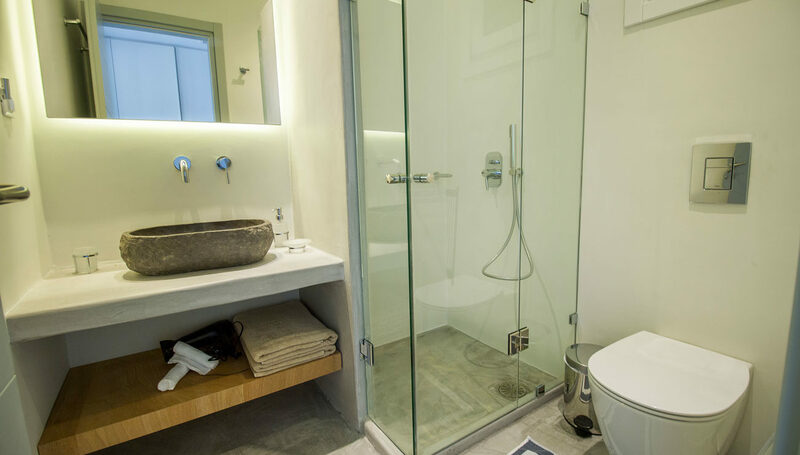 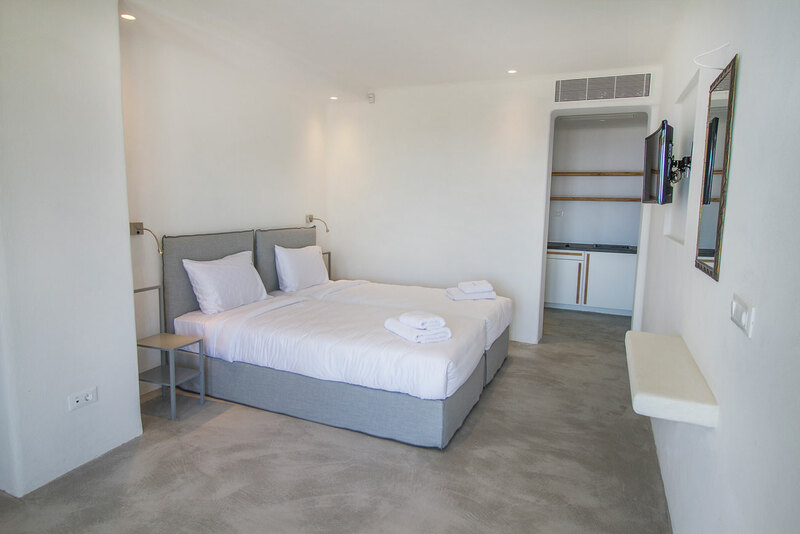 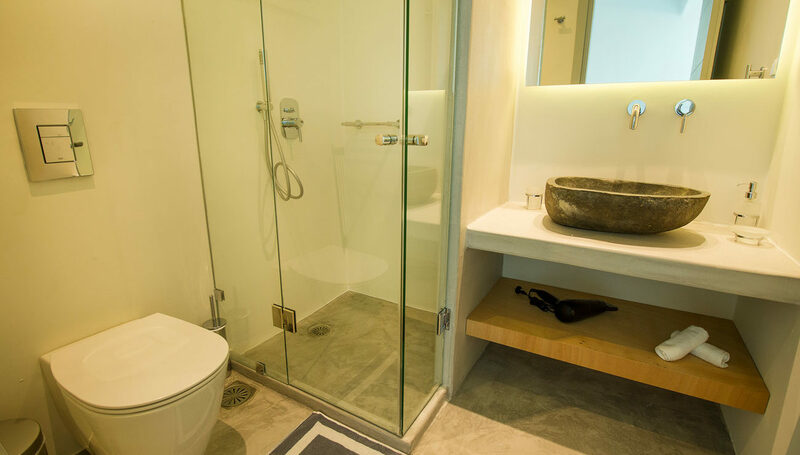 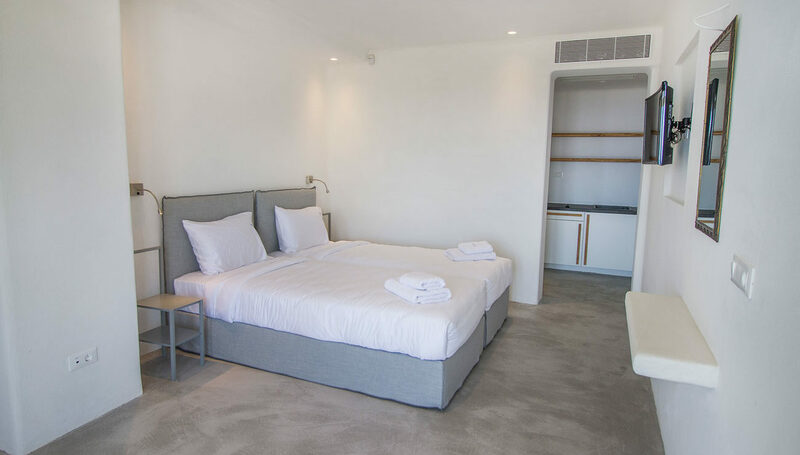 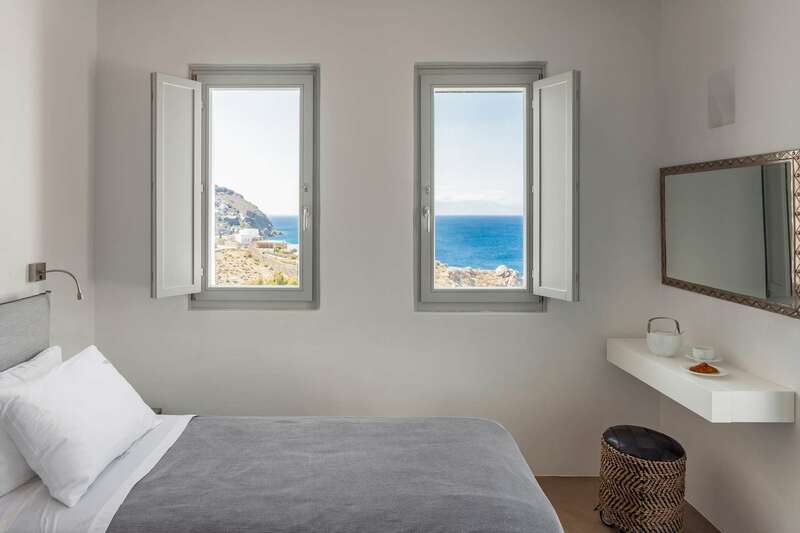 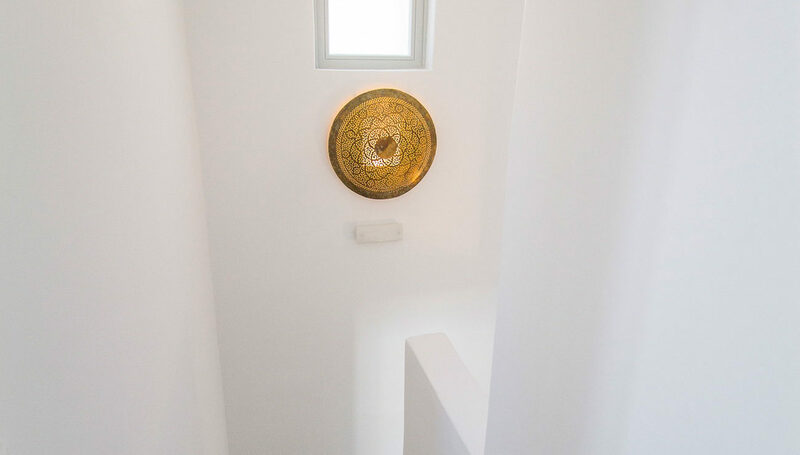 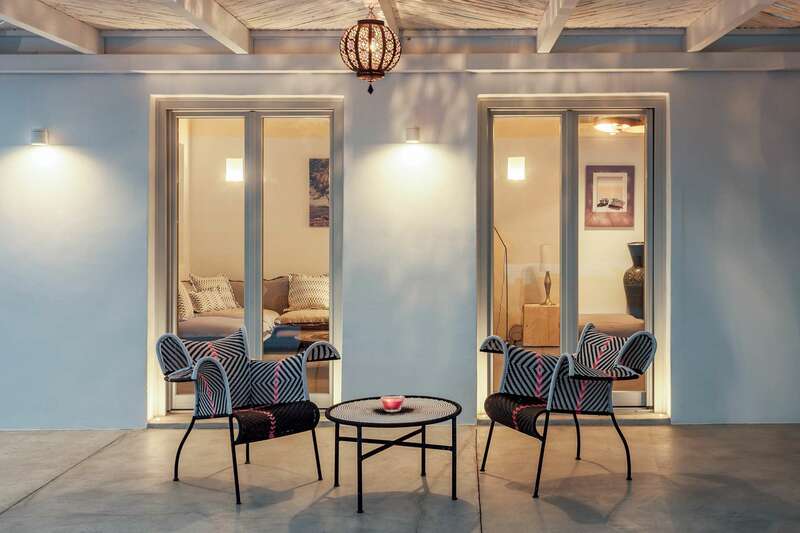 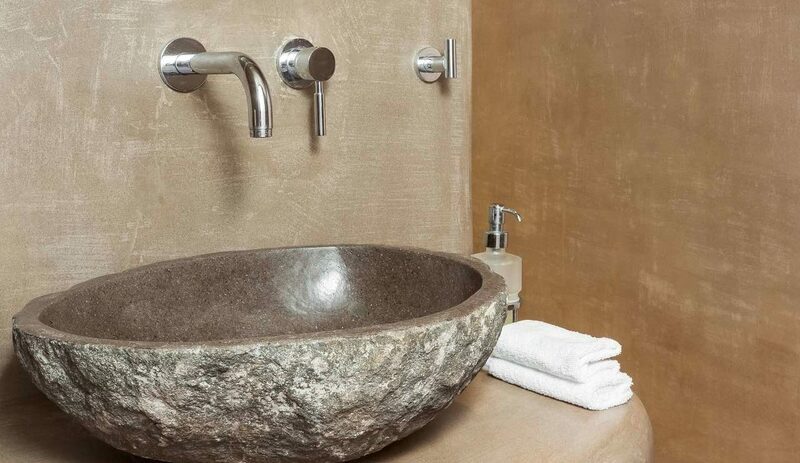 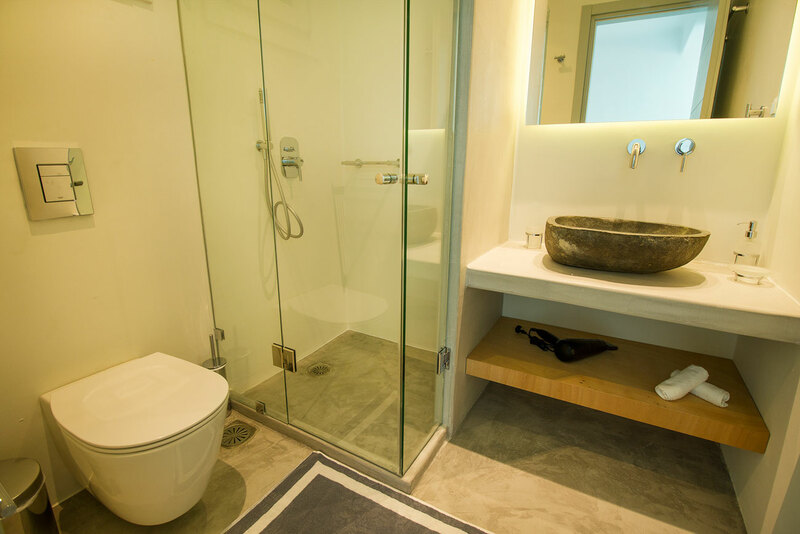 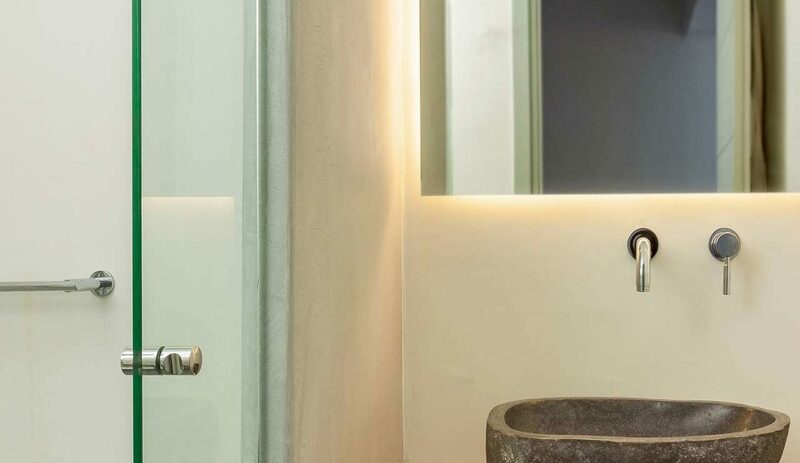 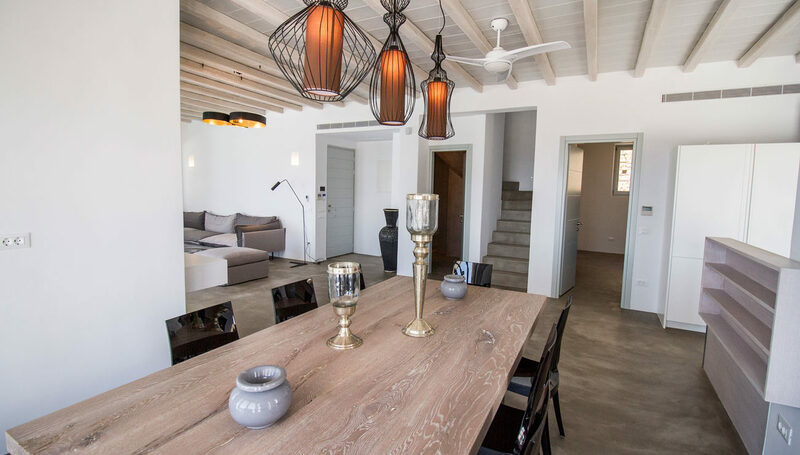 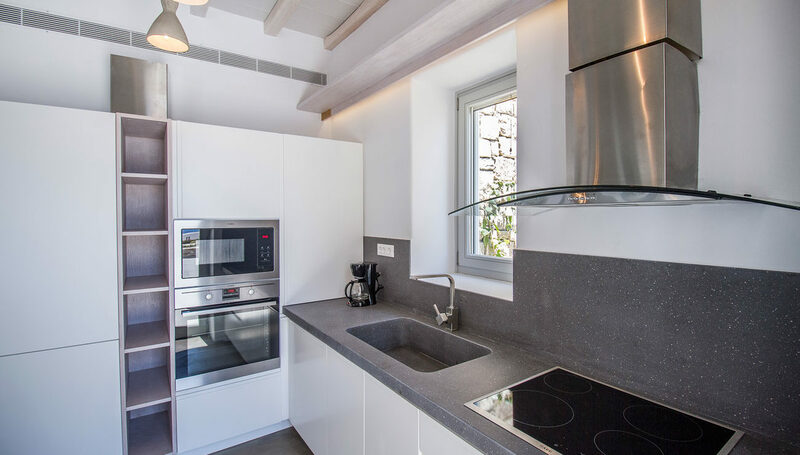 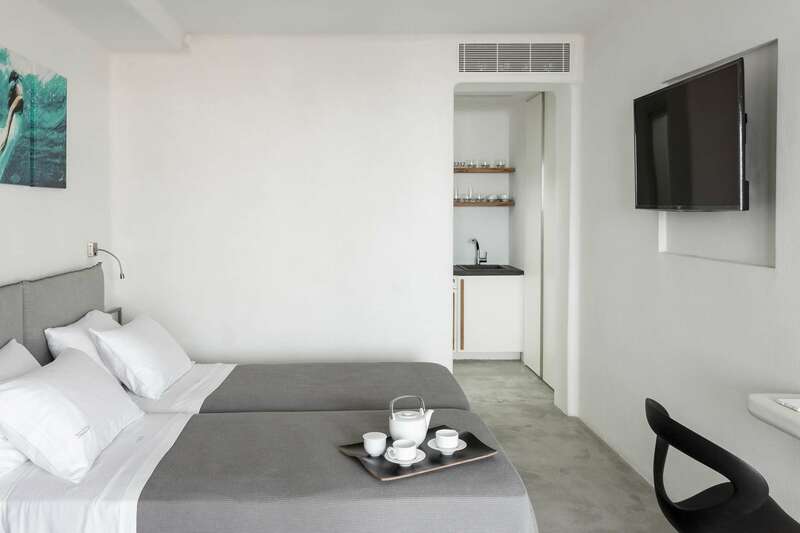 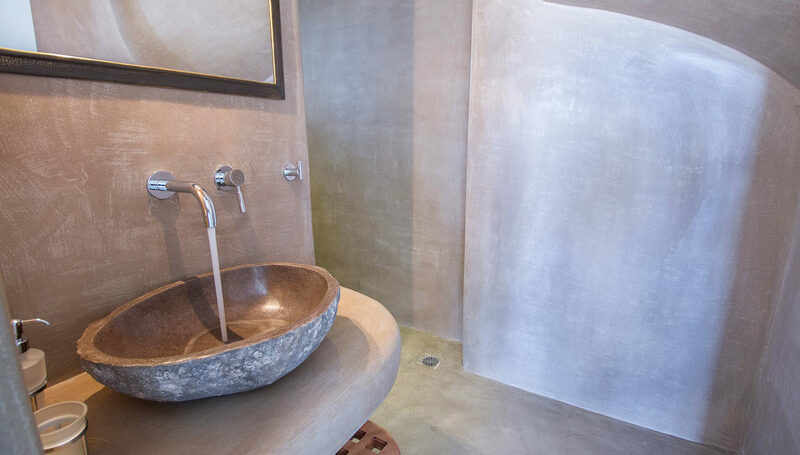 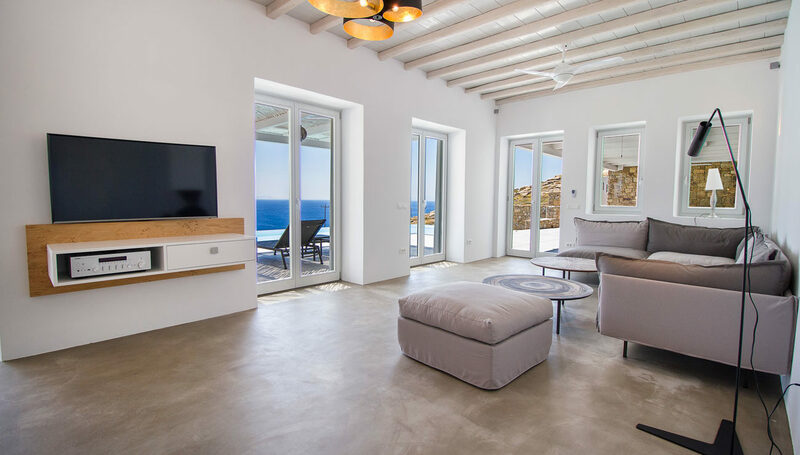 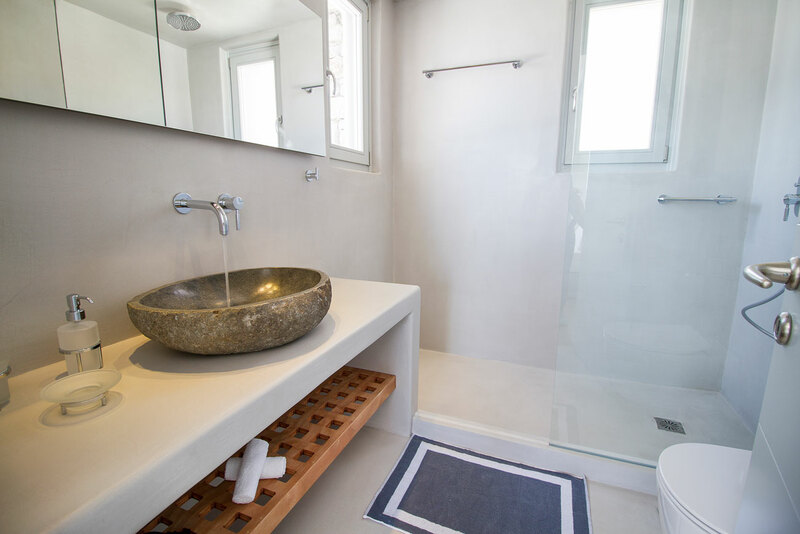 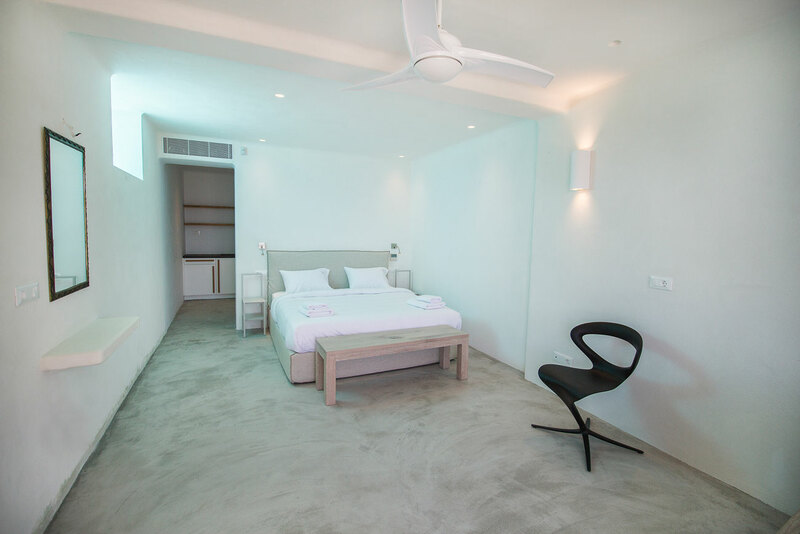 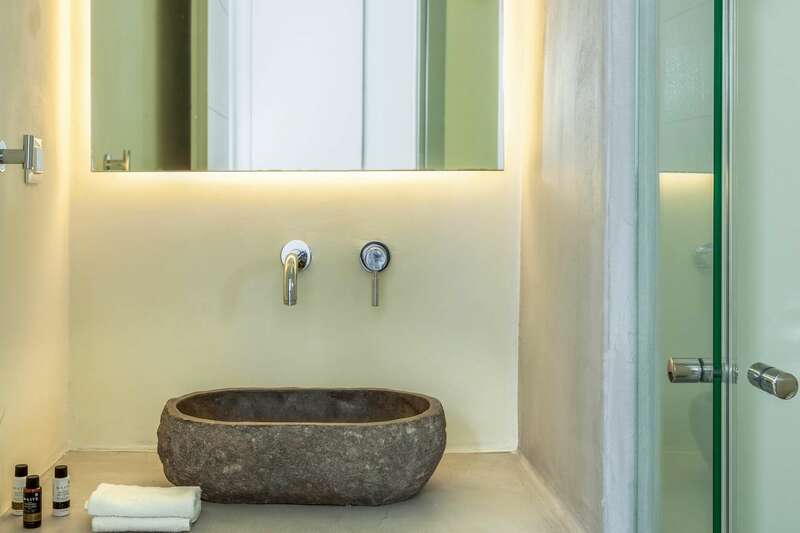 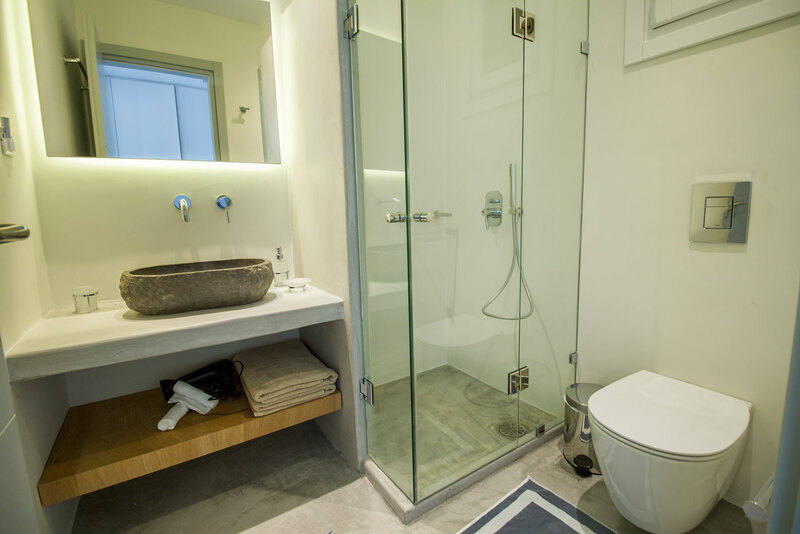 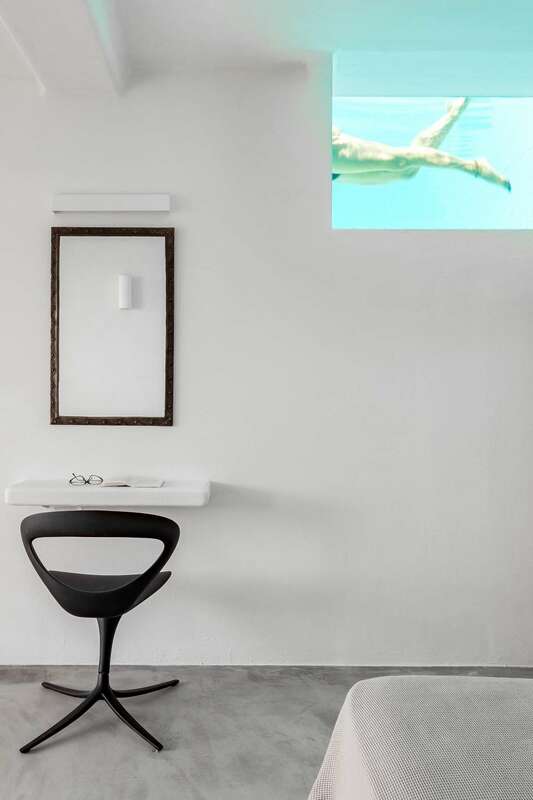 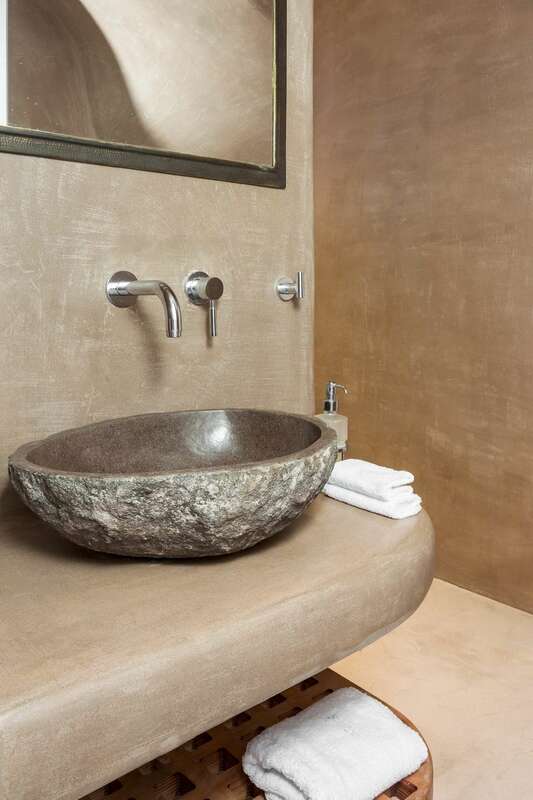 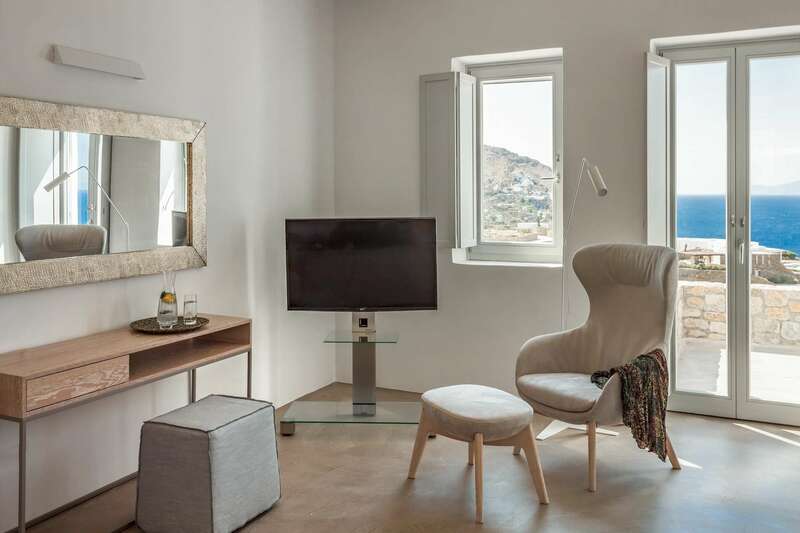 The interior of Villa Marina combines Cycladic architecture with contemporary amenities. 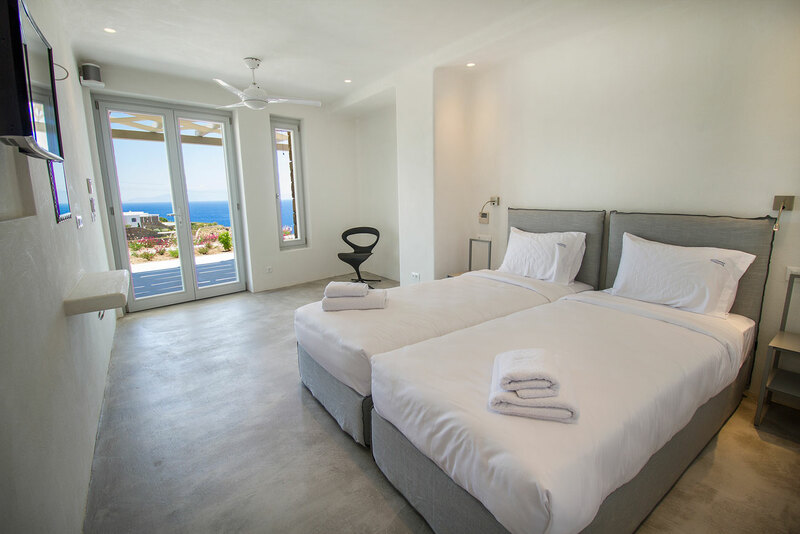 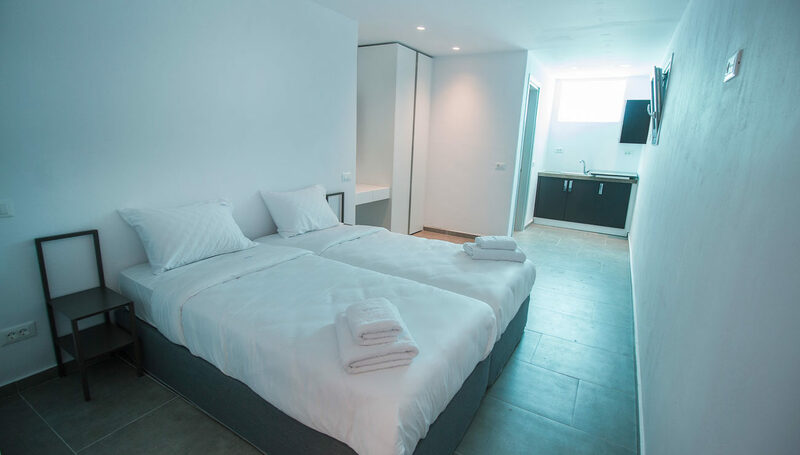 Its spacious bedrooms are decorated with elegant furnishings, while every item is made with the finest materials, to exude style and luxury.